Our prices include coggins test, health papers, and quarantine here at FloraLake for our overseas buyers. 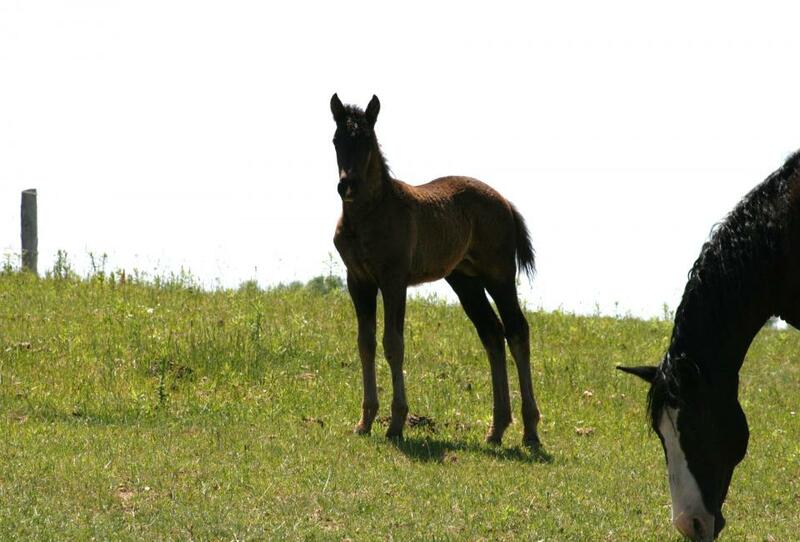 We prefer to quarantine here on the farm so we can continue to have a partnership with our horses until the day they must leave us. 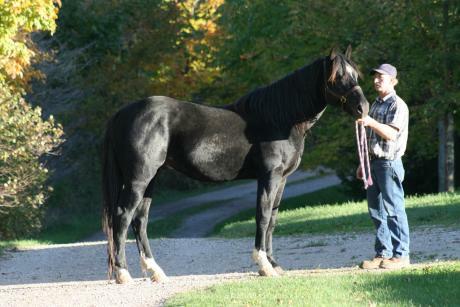 For Canadian and US buyers we either give a discount on transporting costs or deliver. 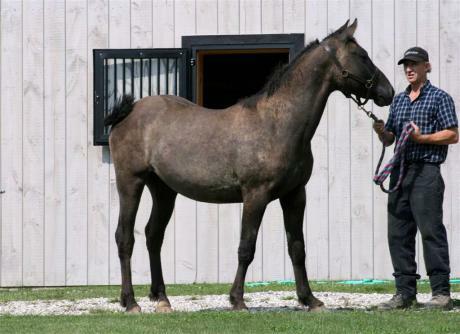 All horses are up to date on deworming, hoof care, and ground manners or appropriate training for age level. 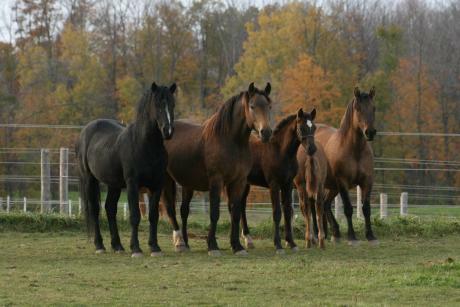 All horses are fed quality hay, extra minerals or grains, and fresh water at all times. 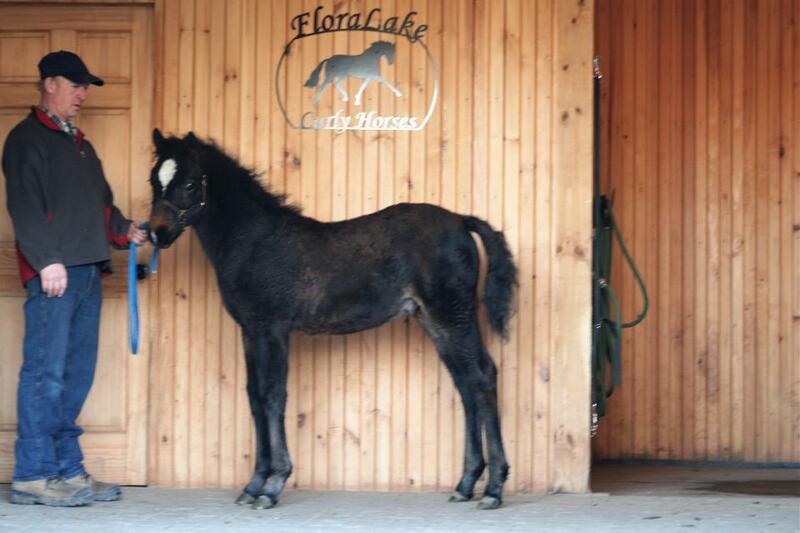 We are now offering FloraLake Mirage Carbonado for sale to an approved home! 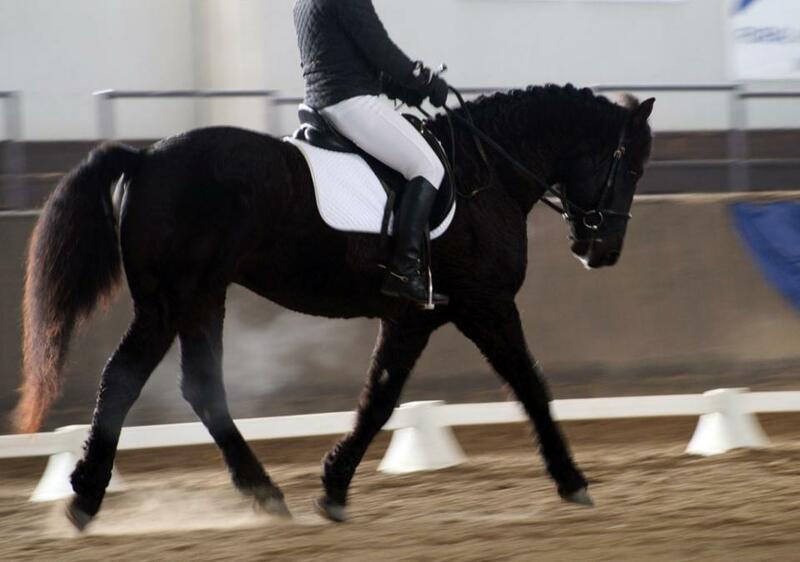 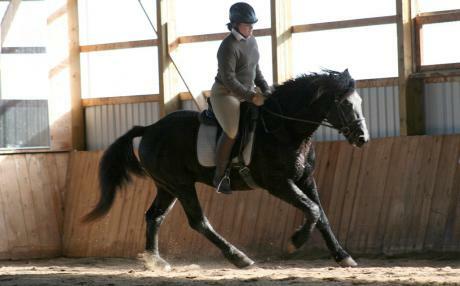 Tall 15.3 hand, 5 year old black, straight haired, Curly sporthorse stallion with awesome movement for dressage. 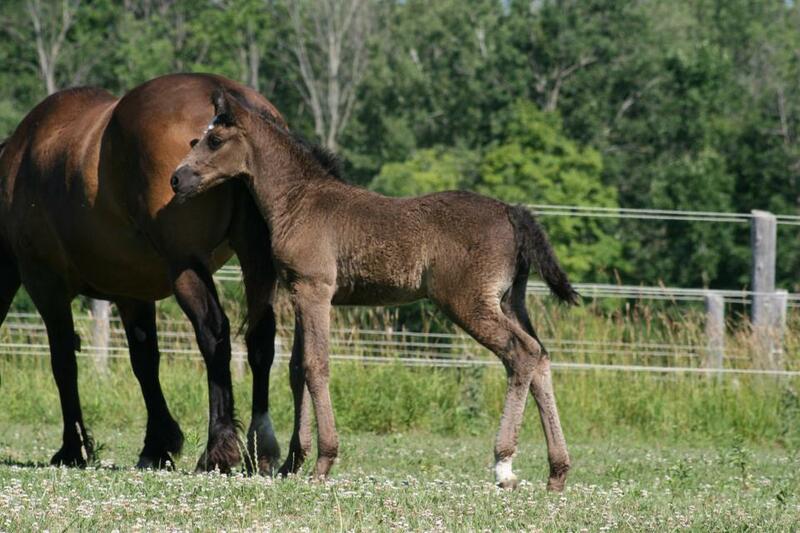 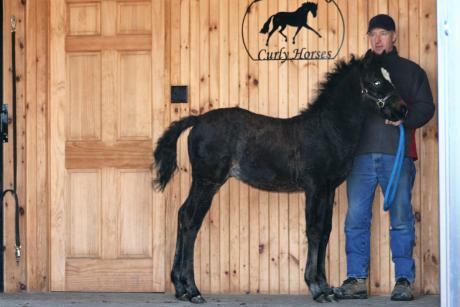 Registered with ABCR and Curly Sporthorse International. 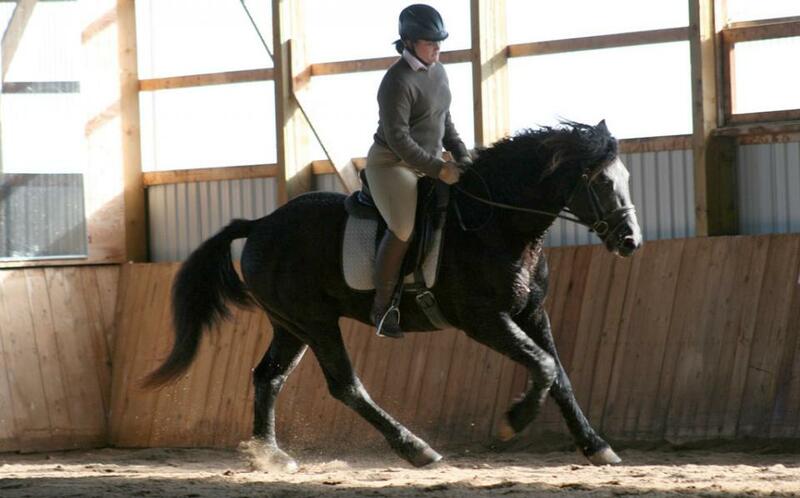 Carbonado has powerful, forward movement with lots of extension, suspension, and impulsion. A lovely topline and pretty head with a perfect diamond, hense his name Carbonado (meaning black diamond in Spanish). 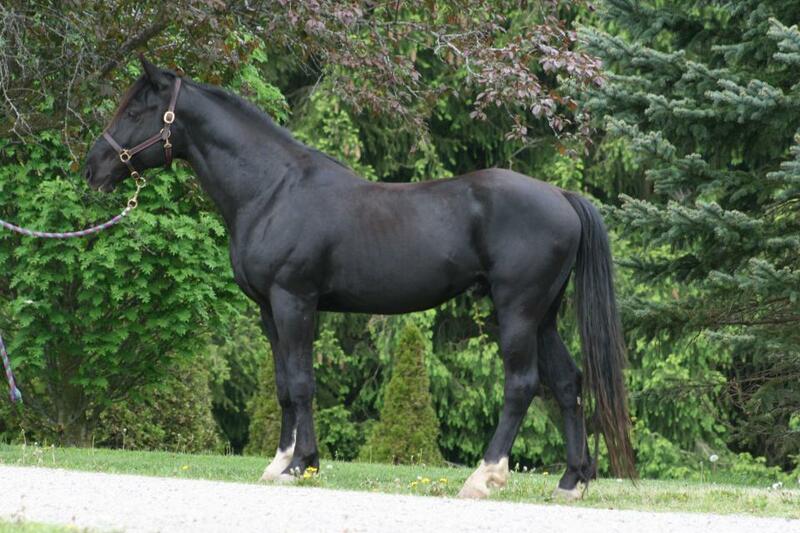 With his white socks Carbonado is likely to pass on the chrome to his off-spring. 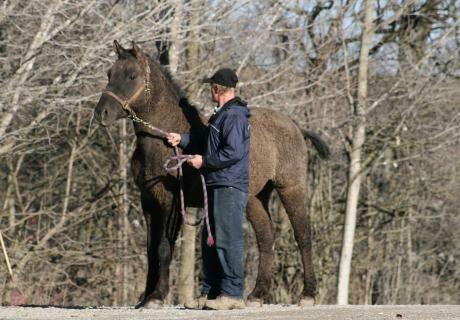 Our first mare is due to foal in 2018 by Carbonado. 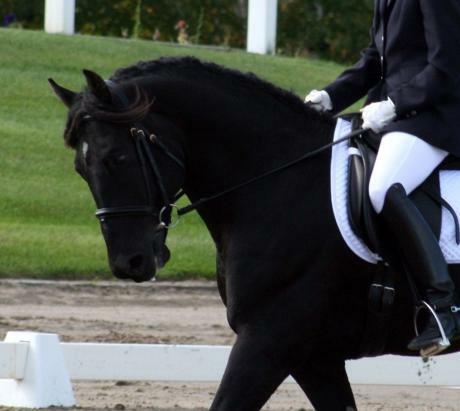 Carbonado's sire, Black Diamond won many awards and ribbons showing up to Second Level dressage and schooling Third Level. Carbonado loves people and is respecful to handle. 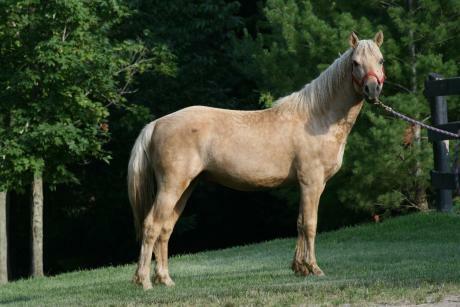 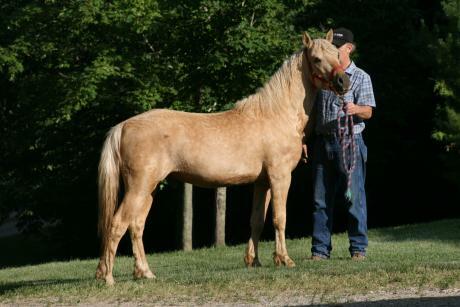 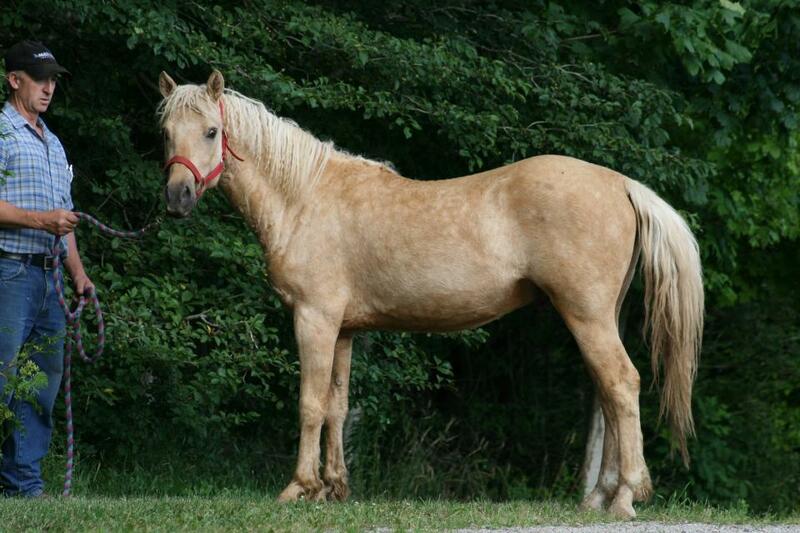 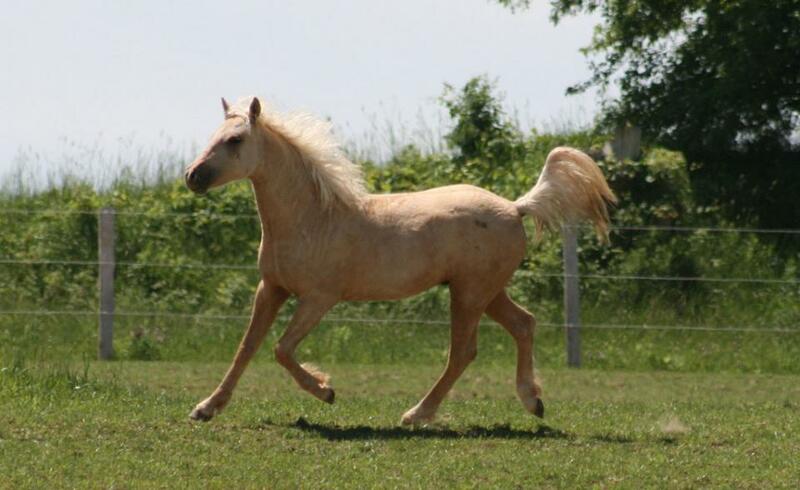 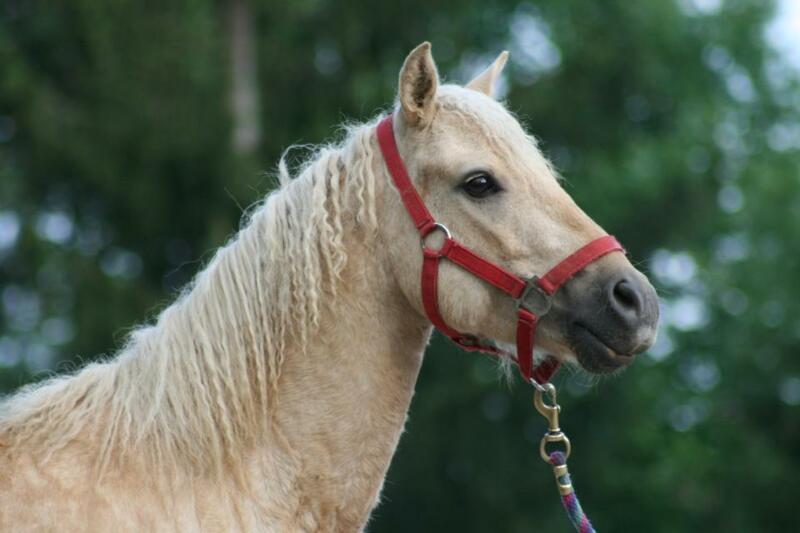 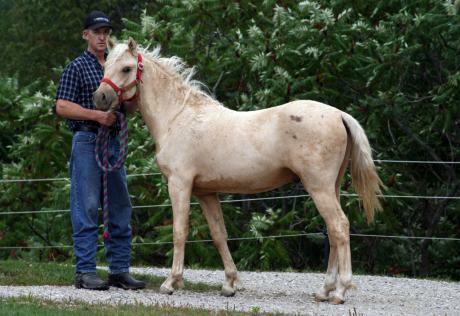 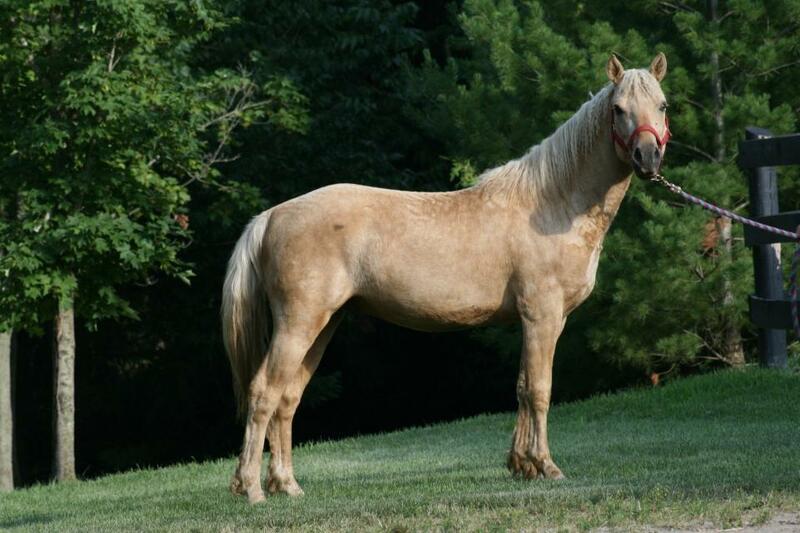 Frisco is a palomino curly pony gelding with an exceptional temperament. 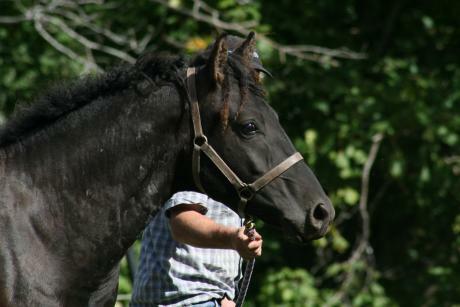 He is so easy to work with and tries so hard to please his humans. He is a confident boy not afraid of anything and friendly to anyone wanting to spend time with him. Very nice movement too. 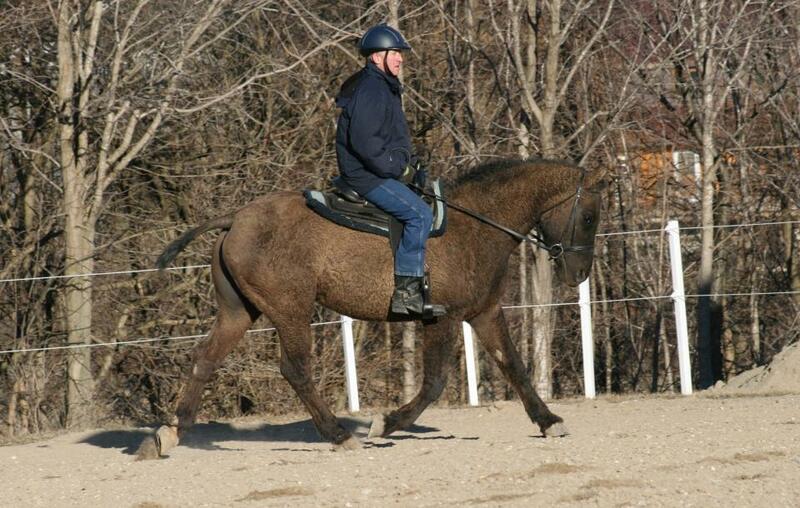 Frisco would make a stylish driving pony, or a fun children's pony. He has the curls with a full mane and tail. Condor is a black, curly coated colt from our large black mare, Ebony Spirit who has given us colts maturing at 15.3 to 16 hands. Most of them have gone on to compete in dressage doing very well in open classes. 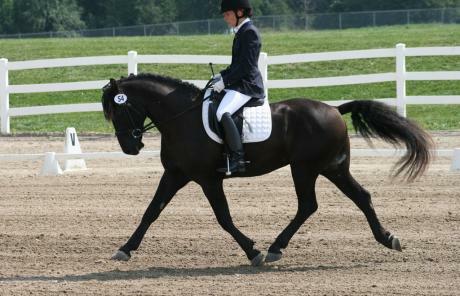 Condor's sire, Black Diamond won many ribbons and championships showing up to Second Level and schooling Third Level dressage. Condor is a quality colt with lovely movement and a very nice temperament. 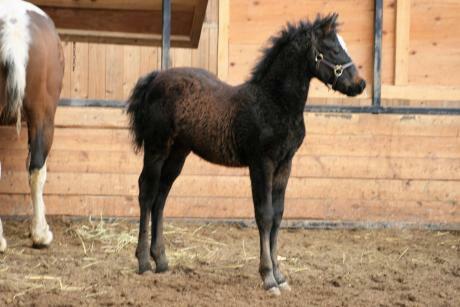 He has the curls yet a full mane and tail. 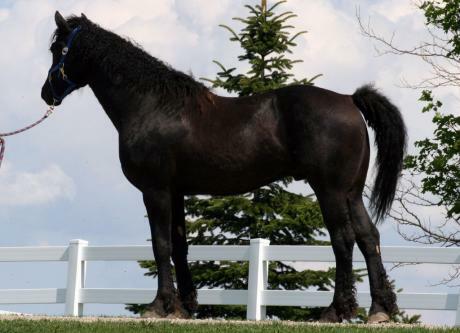 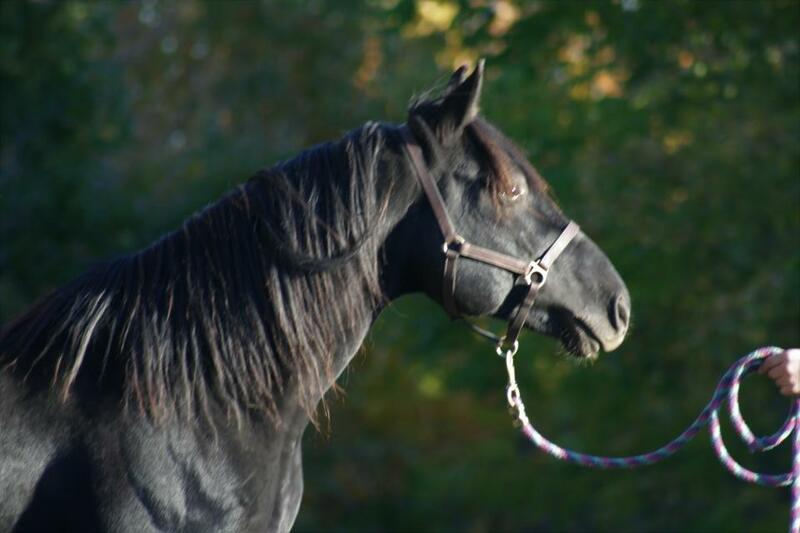 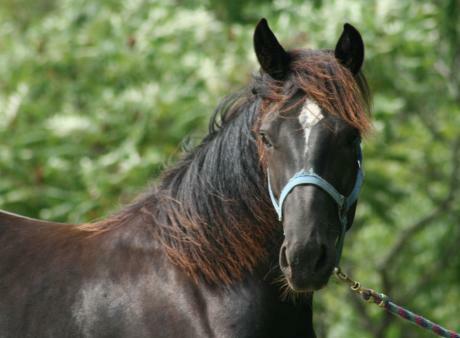 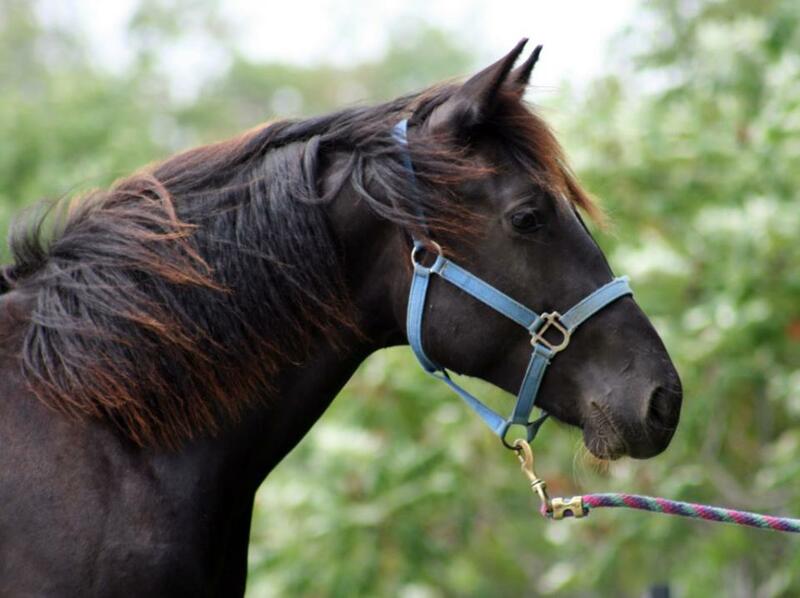 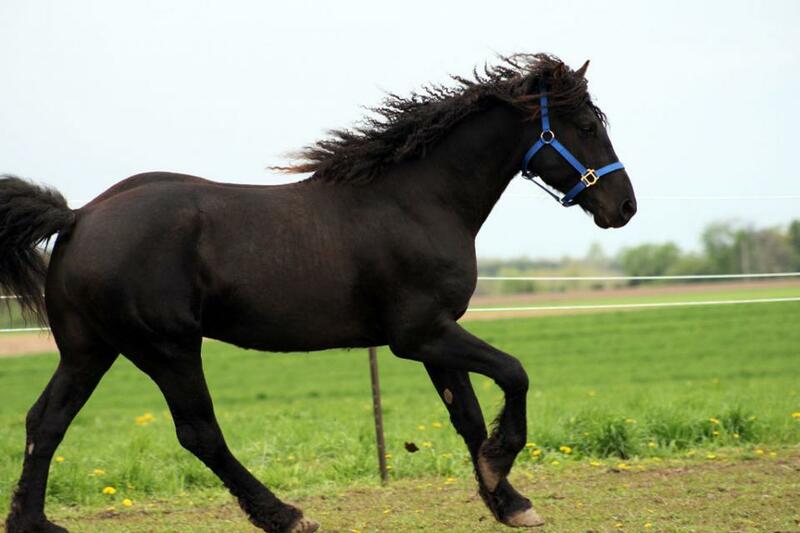 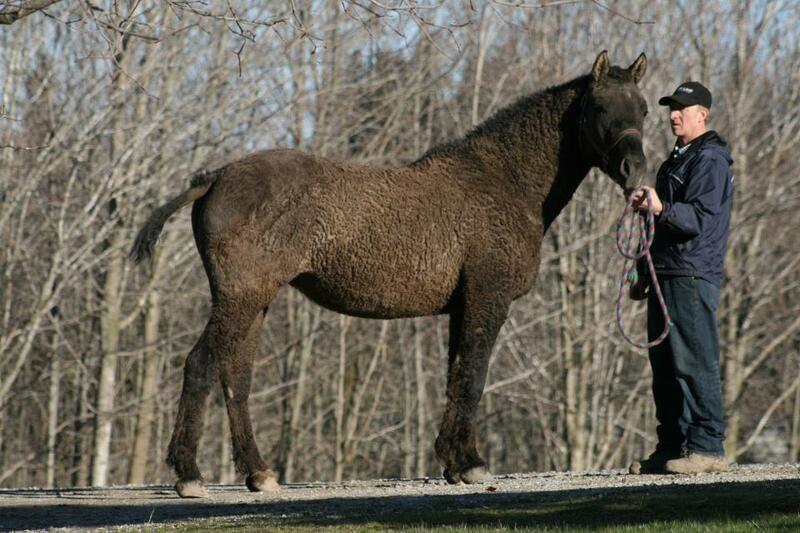 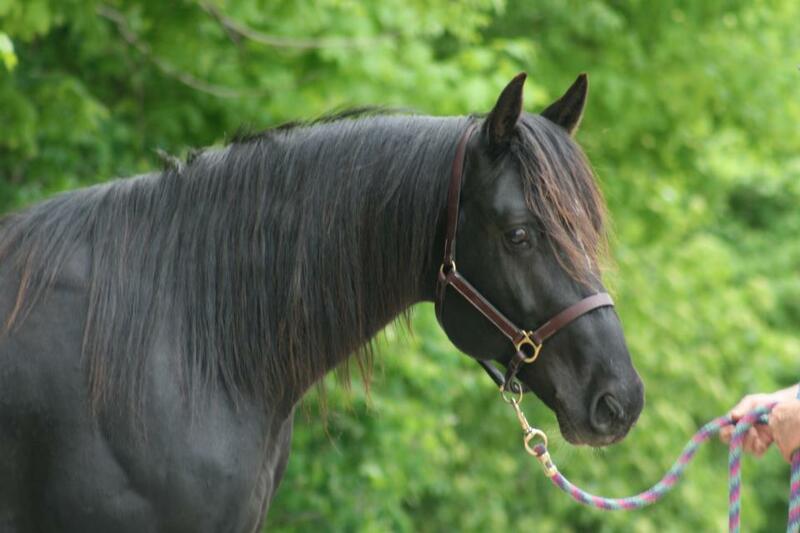 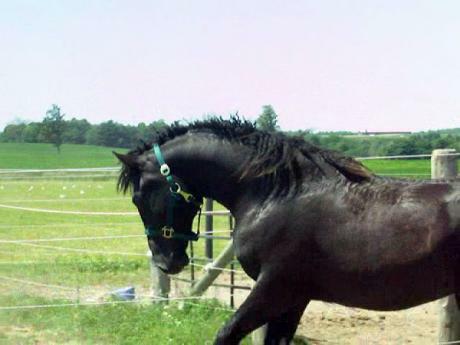 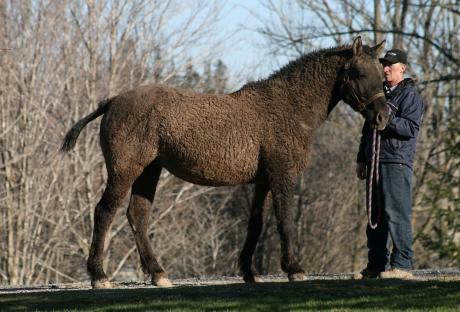 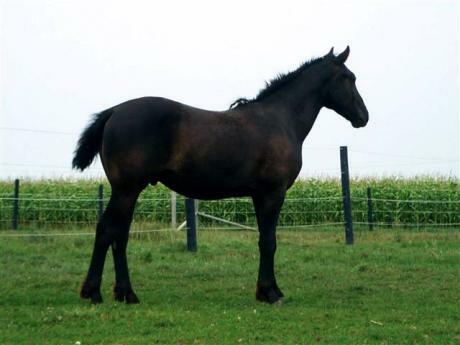 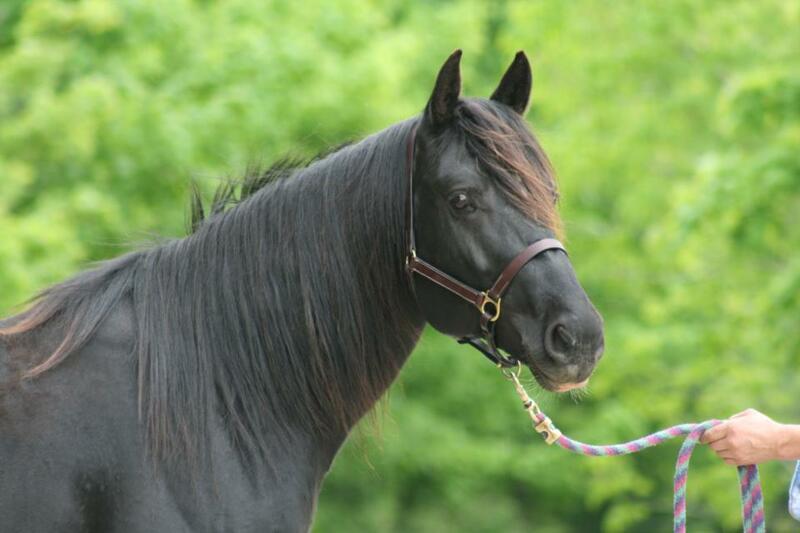 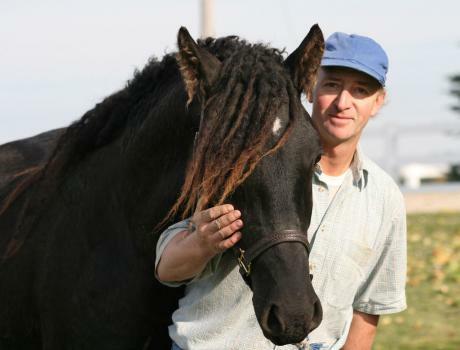 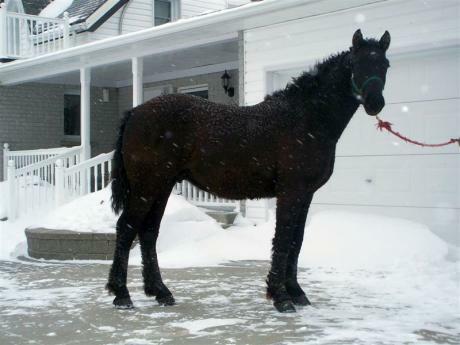 Major is a black curly coated colt with full mane & tail. We expect him to mature as a larger Curly around 15.2 hands or more. Nicely put together with a kind, friendly temperament. His sire won many ribbons and awards showing dressage. 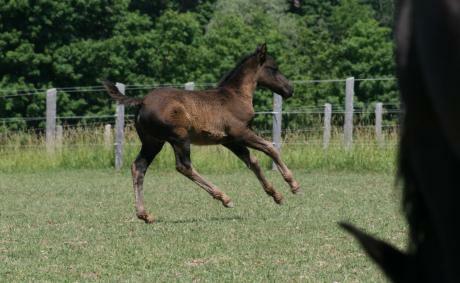 Tempo looks like he was born to be a dressage horse as his name implies. 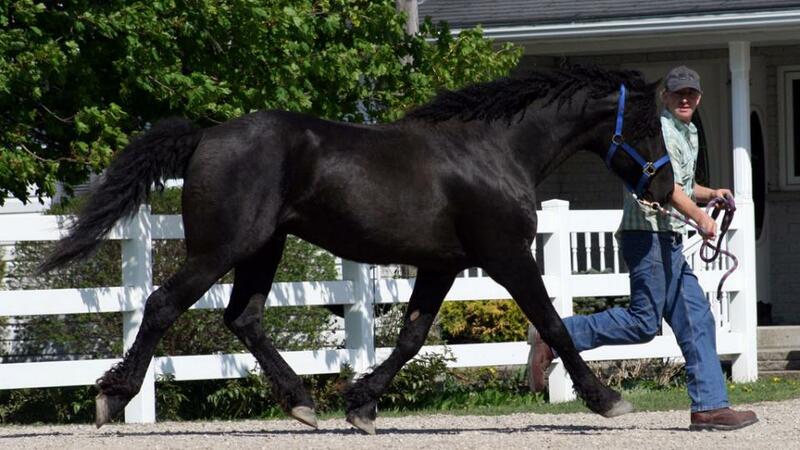 Very nice gaits with poise and style. Tempo has got to be one of the friendliest, most willing to please foals yet, that were born here. He has a very bushy tail and will have lots of mane & tail when mature. Tempo is a dark bay colour. 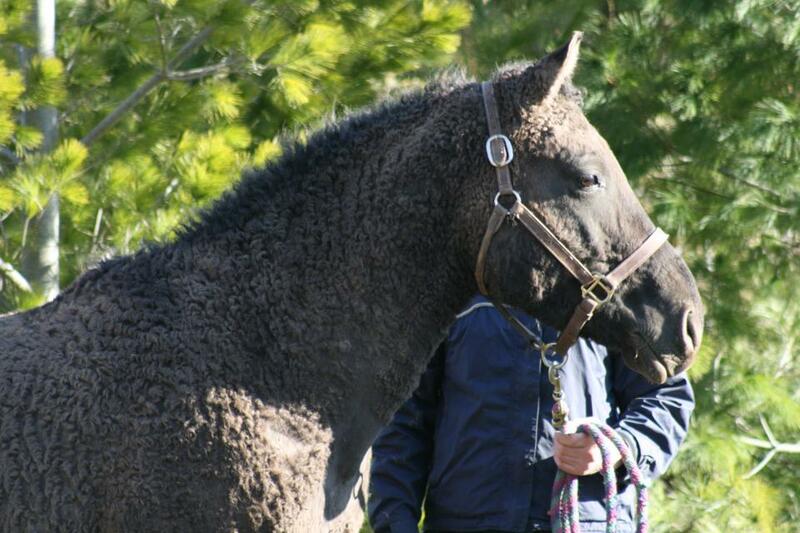 Monty is a handsome smokey black, curly colt. He has been colour tested as E/E, a/a, n/Cr which means he is homozygous for black based colours and also carries one copy of the cream gene! 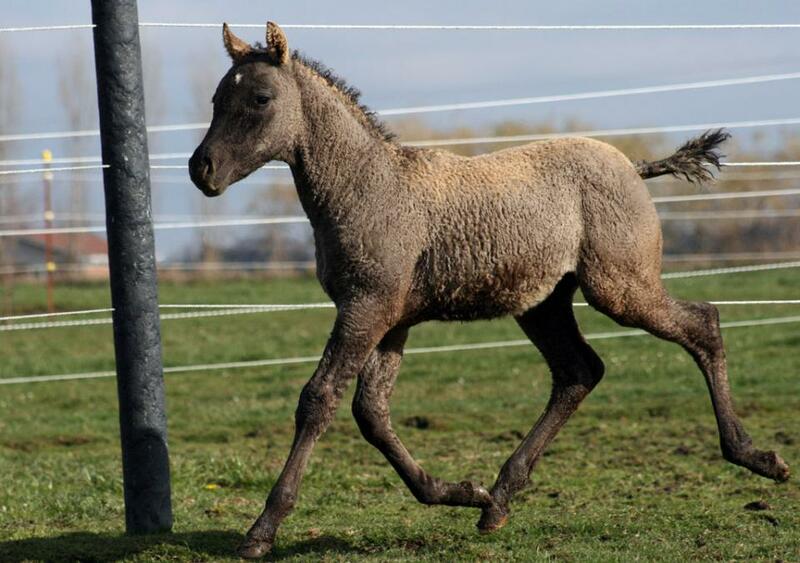 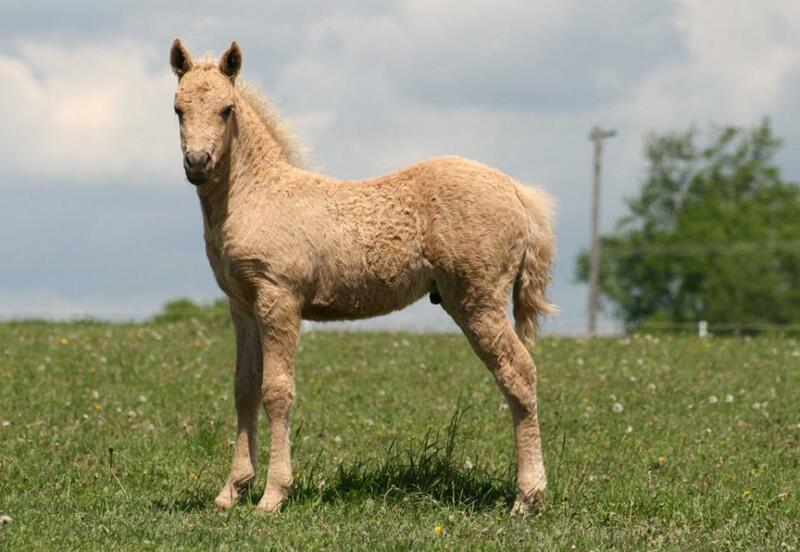 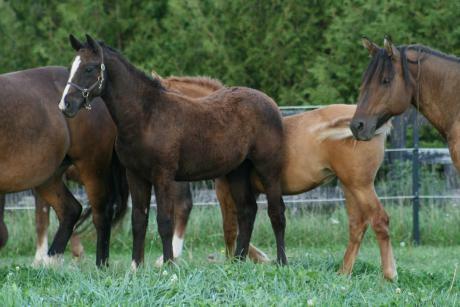 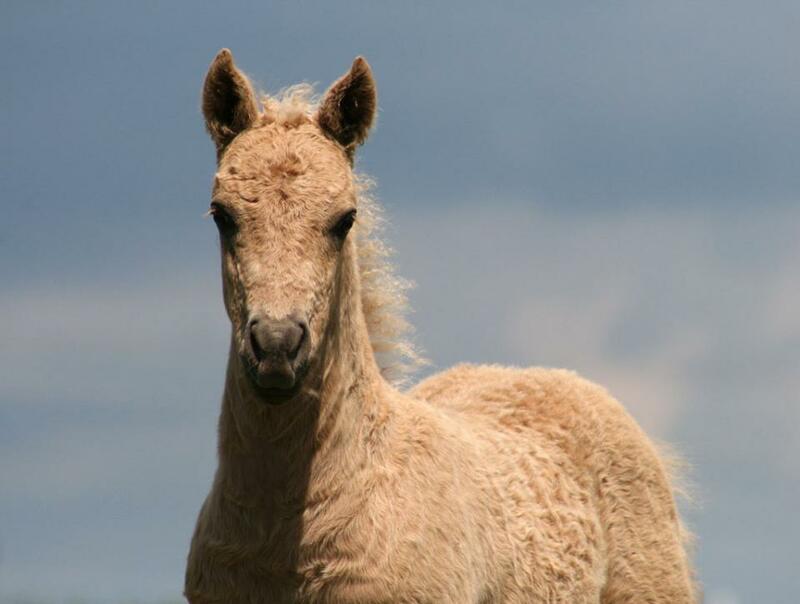 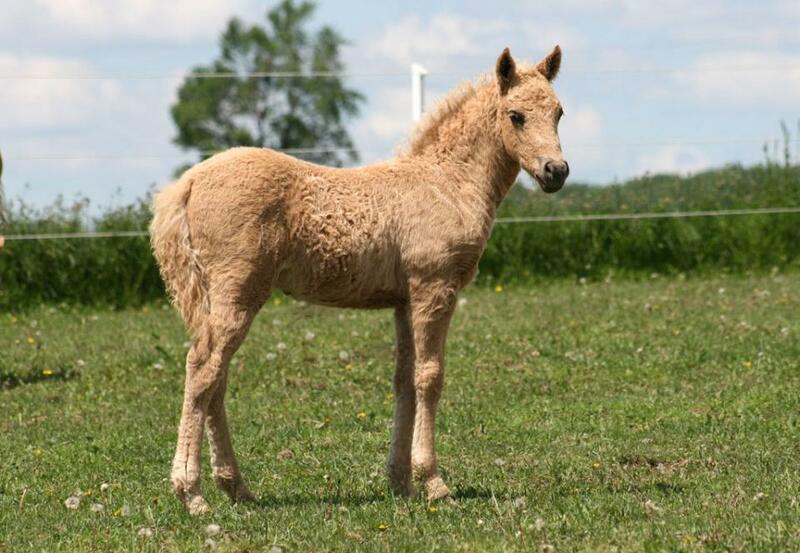 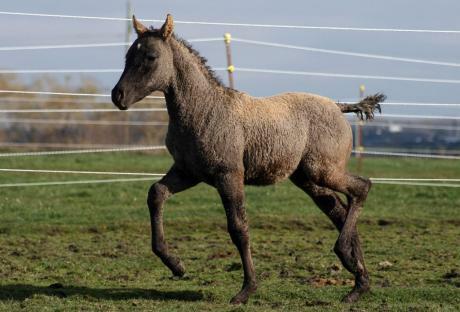 So he can easily pass on the cream gene for buckskin foals. 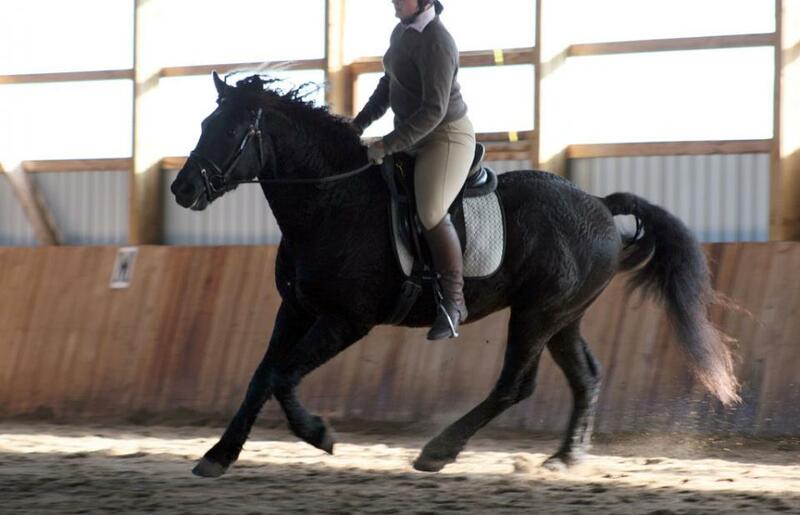 Monty carries himself with style and loves to show his lovely movement. 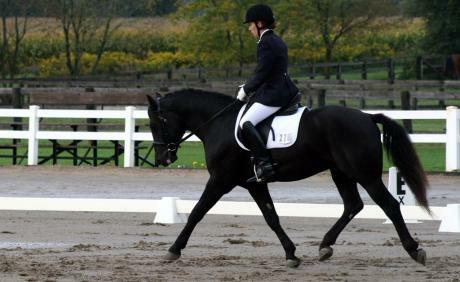 Natural dressage prospect- long arched neck, uphill build at the shoulders, and floating movement with lots of extension. Will have the full mane & tail as he matures. 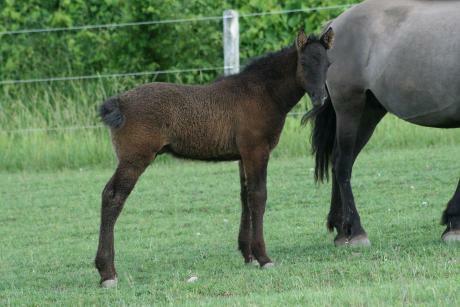 Expected to mature around 15.3 hands according to his size now and that of his full siblings. 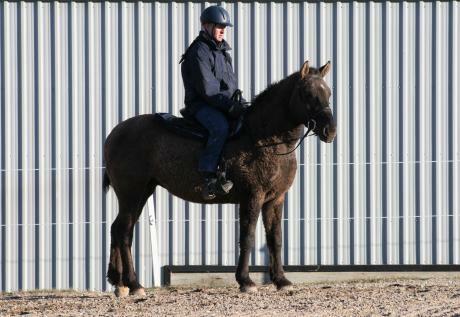 Monty is extra friendly and started with his ground work. Liberty is a red dun colt with lovely movement. 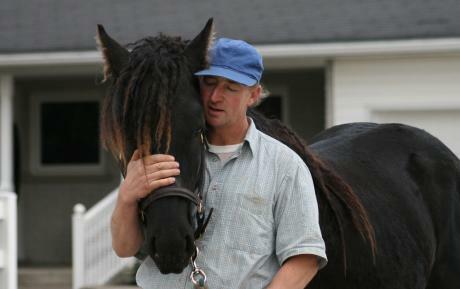 He is extra friendly and brave making him a pleasure to work with. 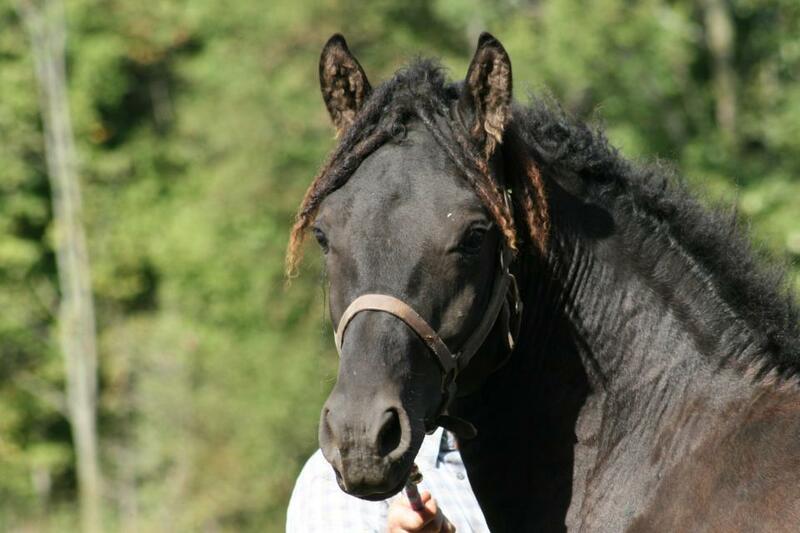 A curly coat and thick mane and tail top off his good looks. 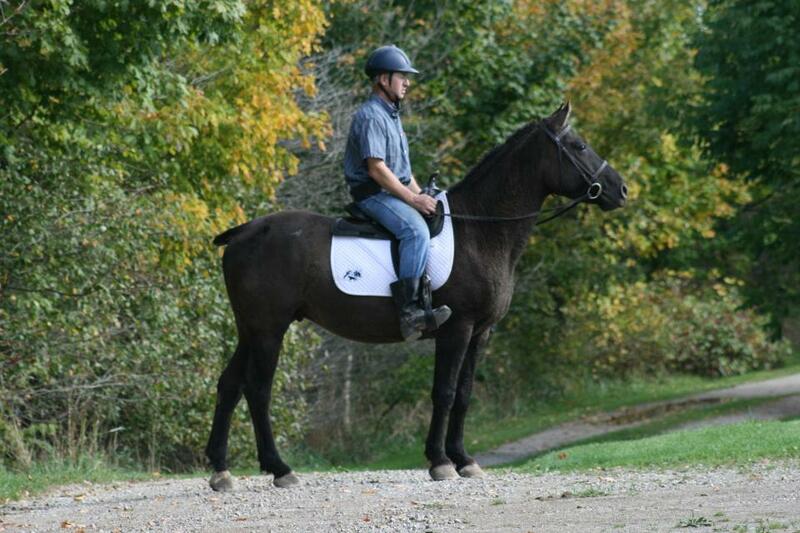 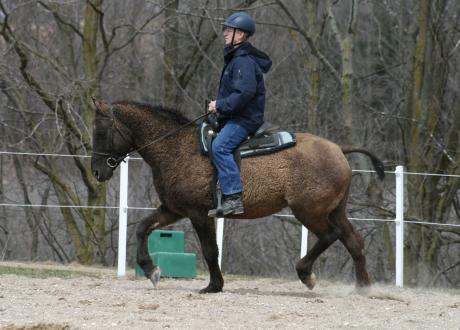 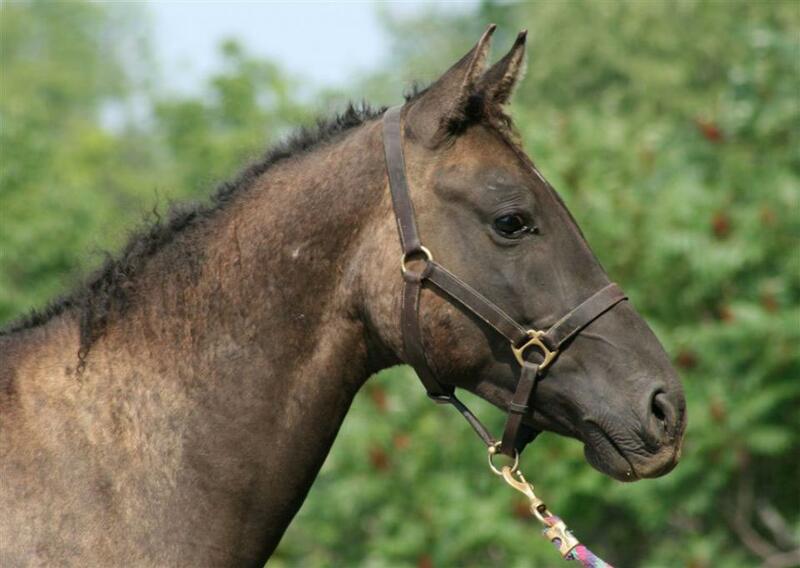 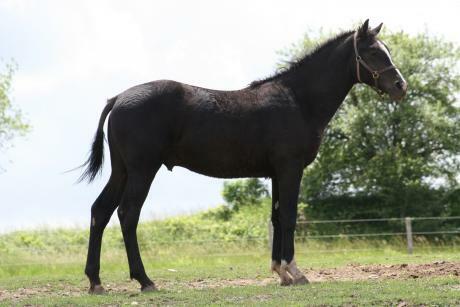 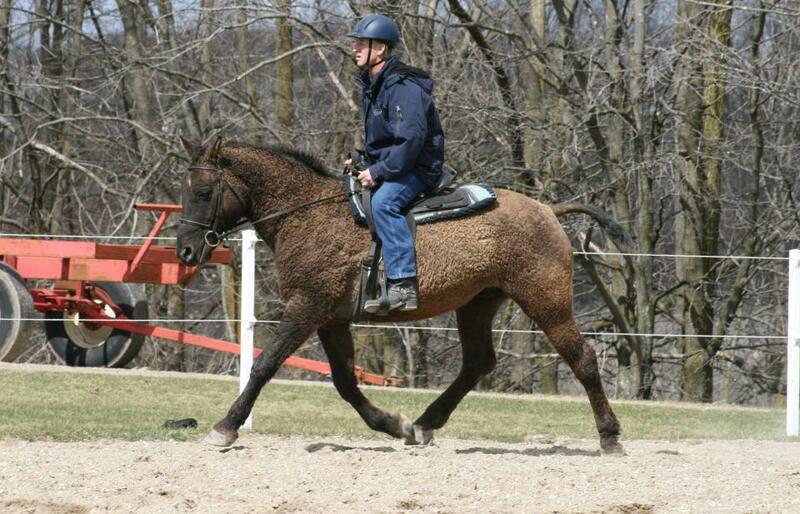 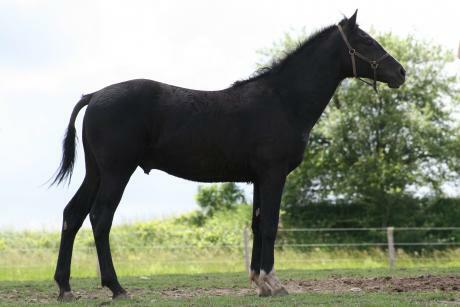 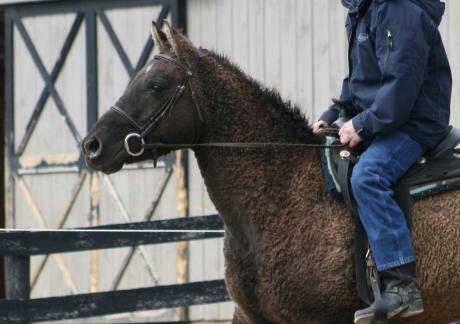 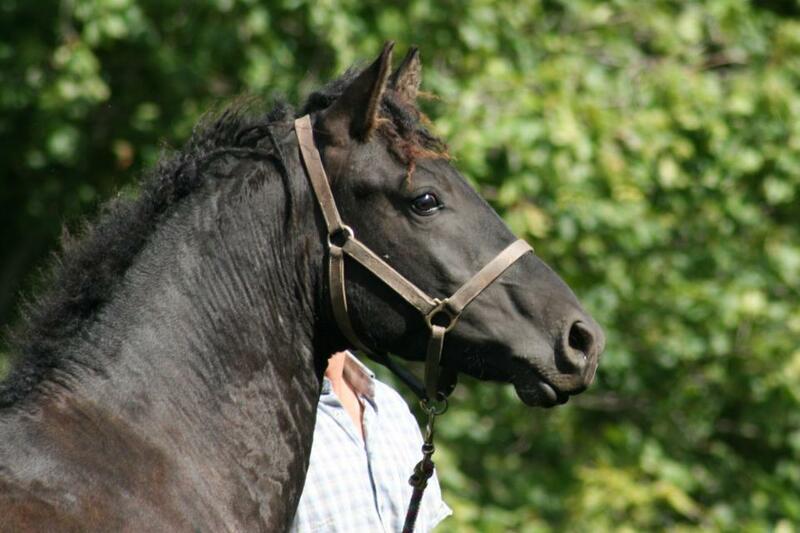 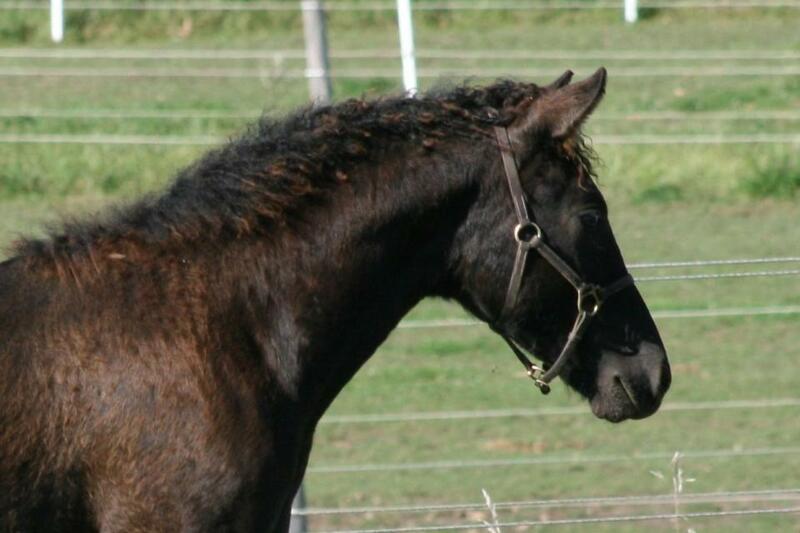 *Maestro is a grullo (black dun) curly gelding with an exceptional easy going, kind, friendly temperament. 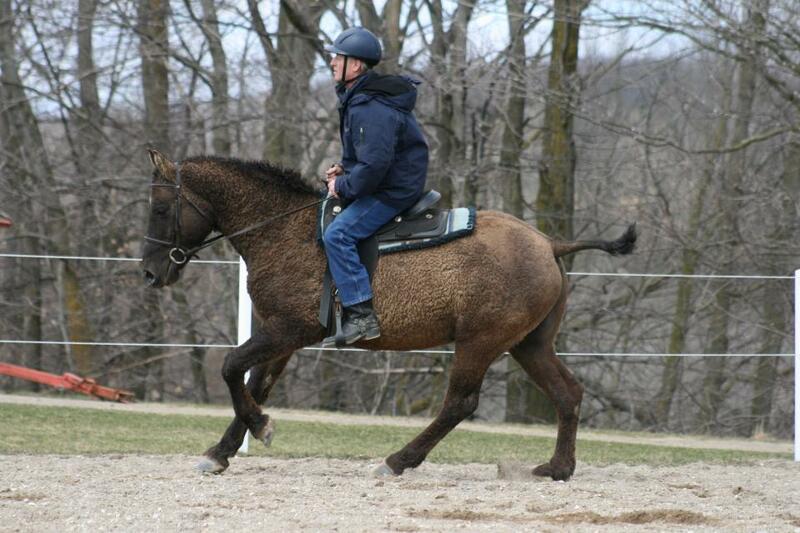 Nothing seems to faze him and he likes trying new things. Maestro is going well under saddle - walk, trot, canter. 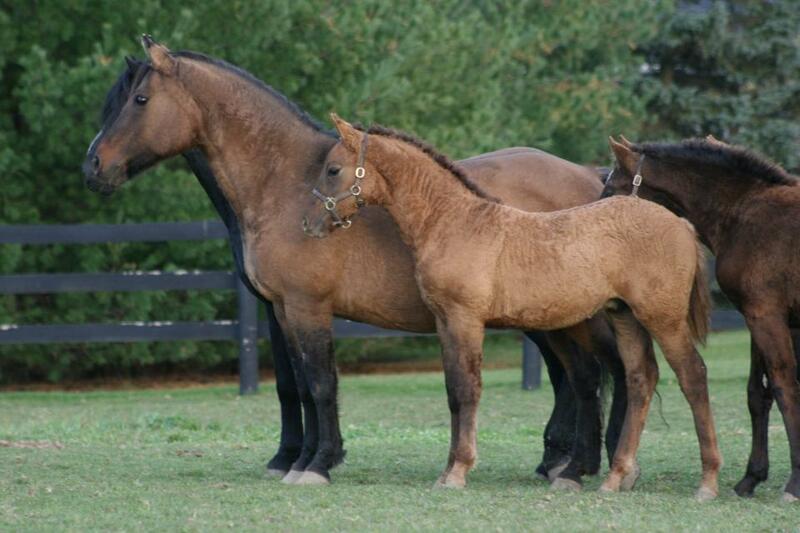 Very nice movement passed on from both parents. 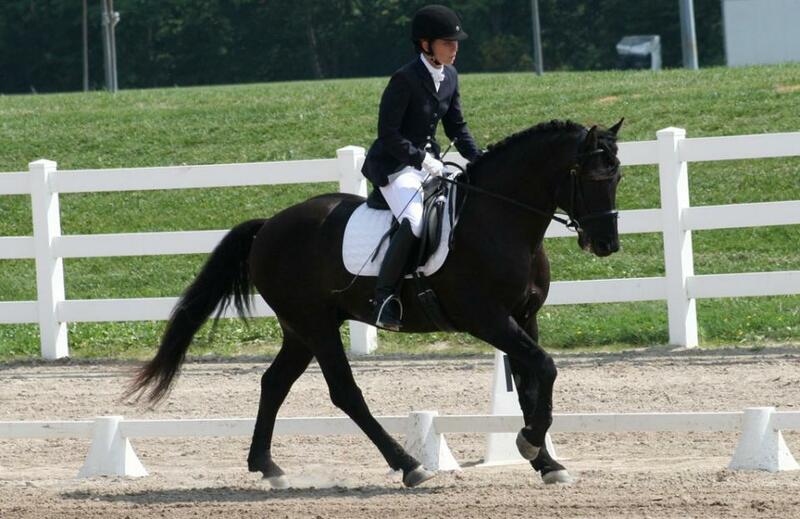 A fine dressage prospect as his big, floating trot and lovely canter comes naturally for him. 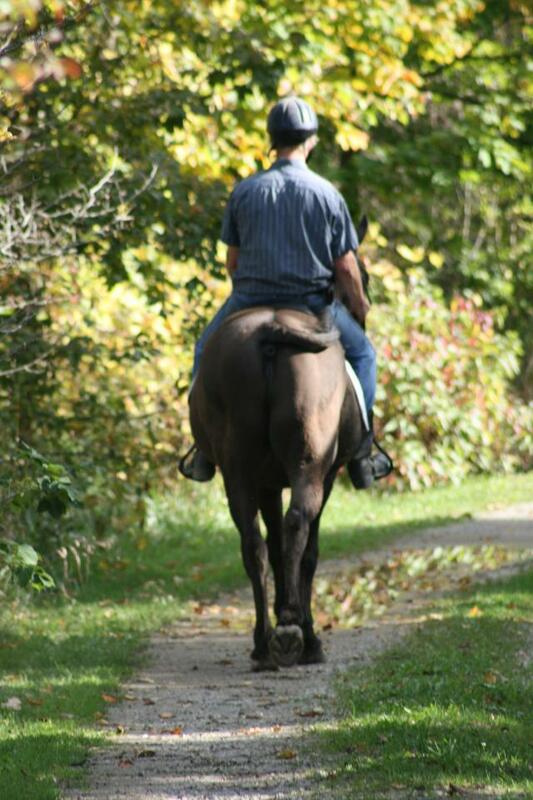 Also quiet and sensible to enjoy trail riding. 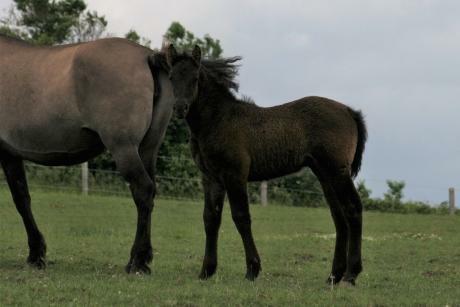 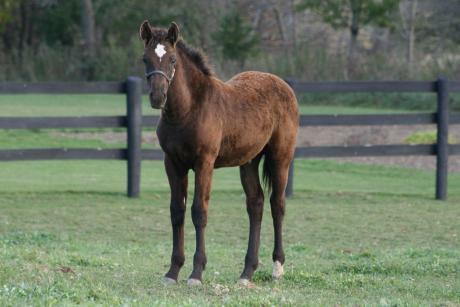 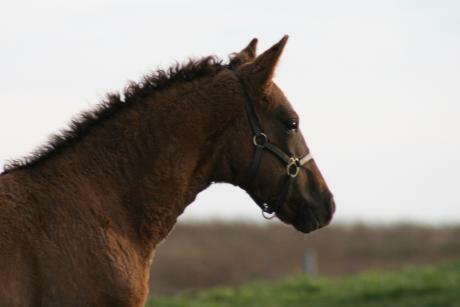 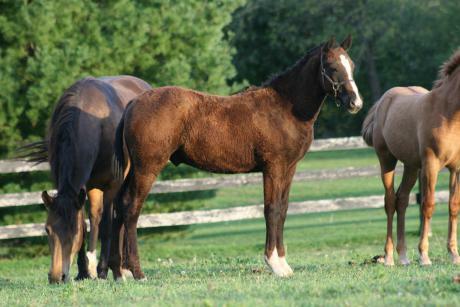 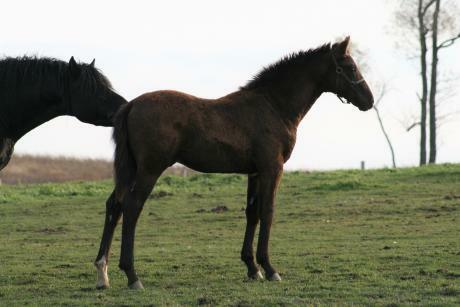 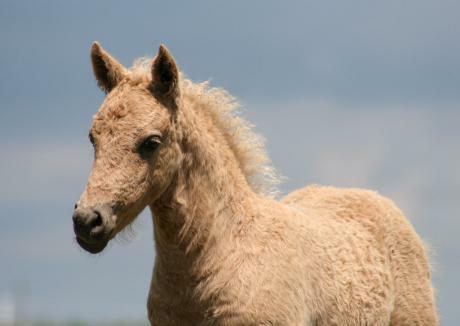 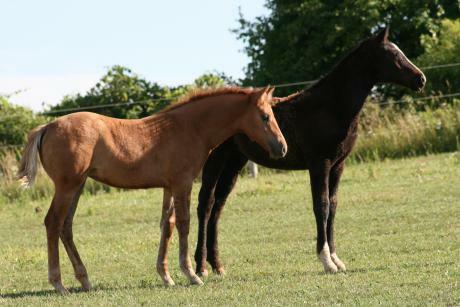 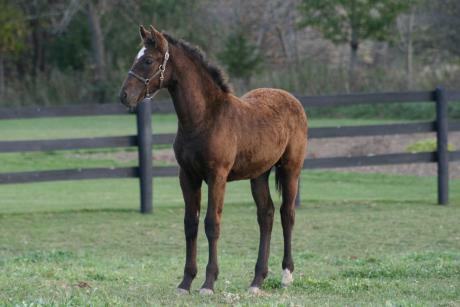 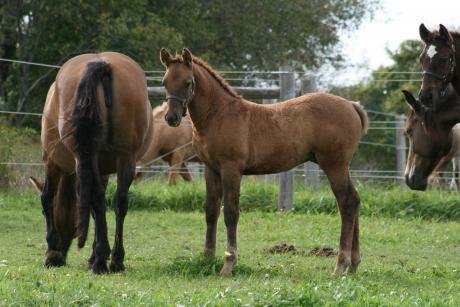 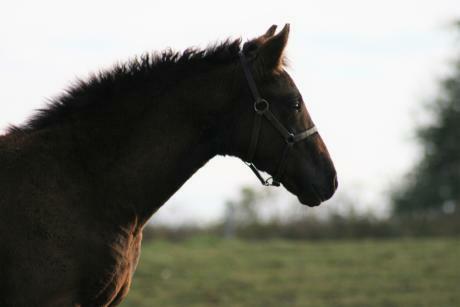 This is Schimml's last foal as she is now retired from breeding. 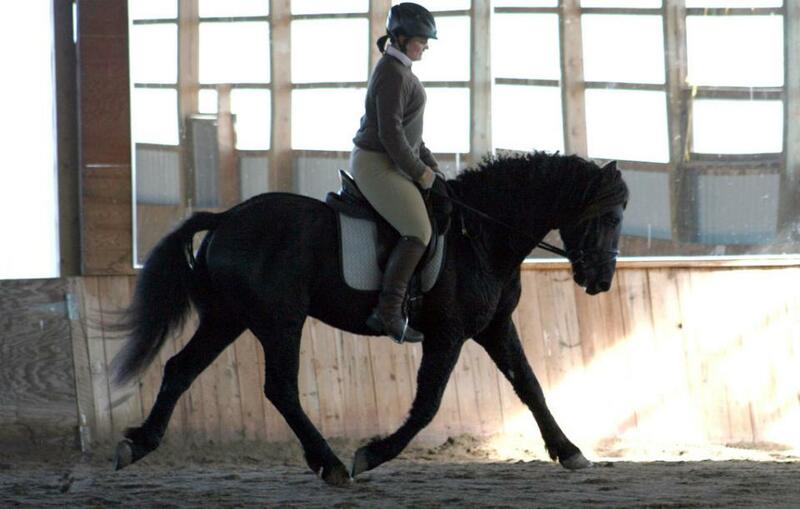 His sire, Black Diamond has been winning in the dressage ring and his dam has lovely movement as well. 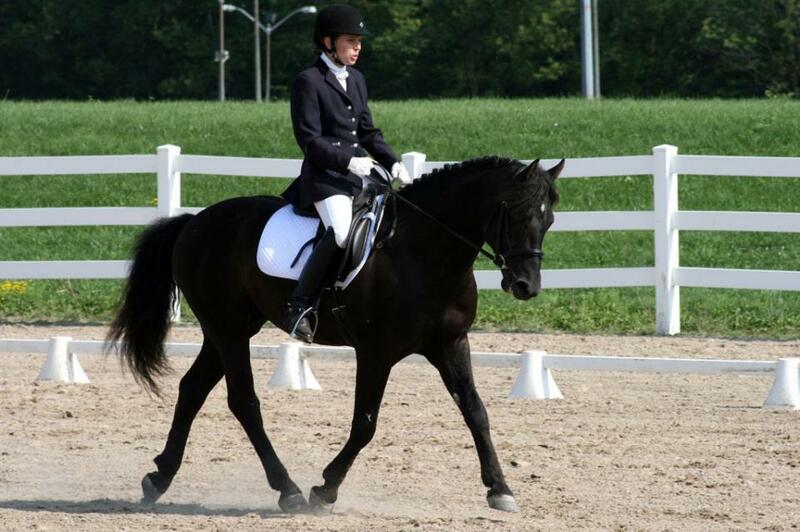 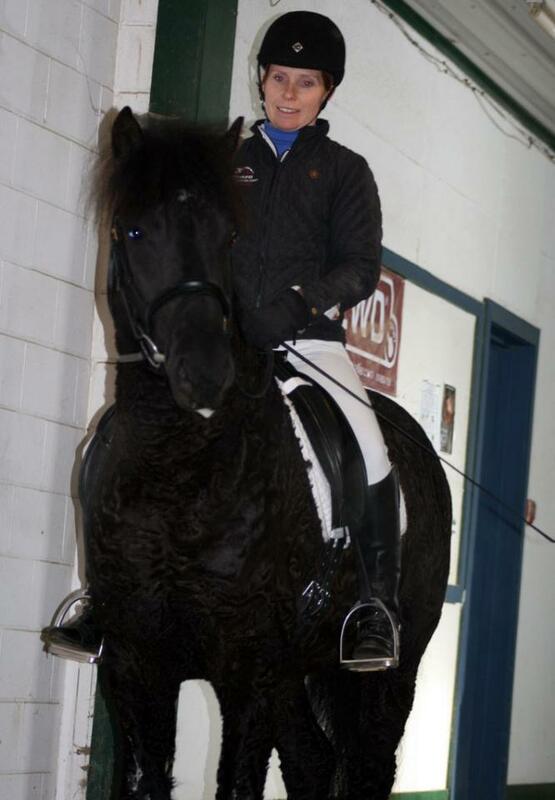 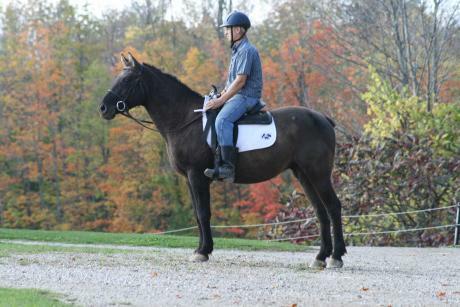 Black Diamond (Ozzie) earned the 2012 Caledon Dressage Year End Award as Reserve Champion at Open Second Level. 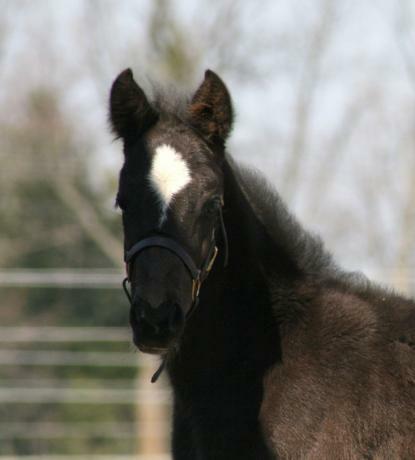 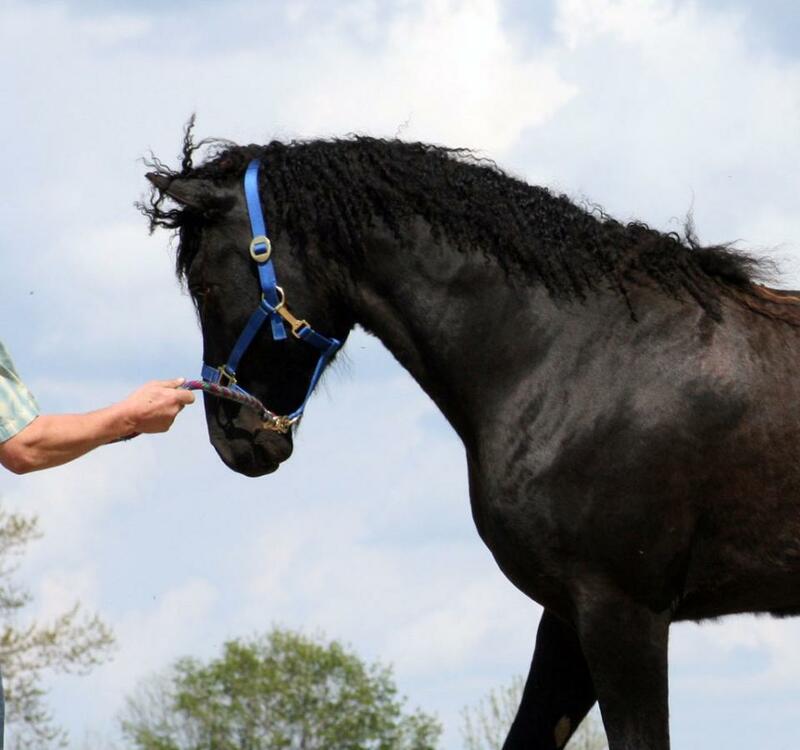 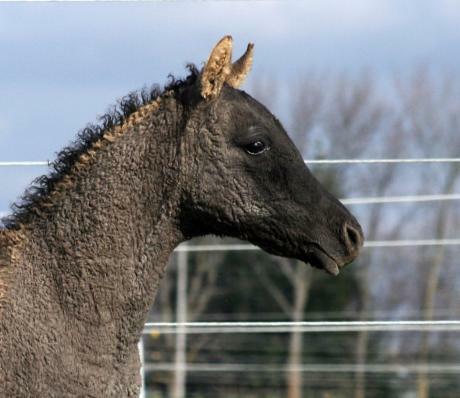 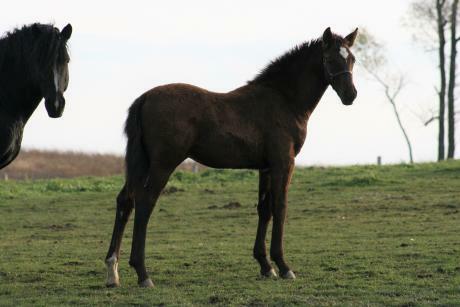 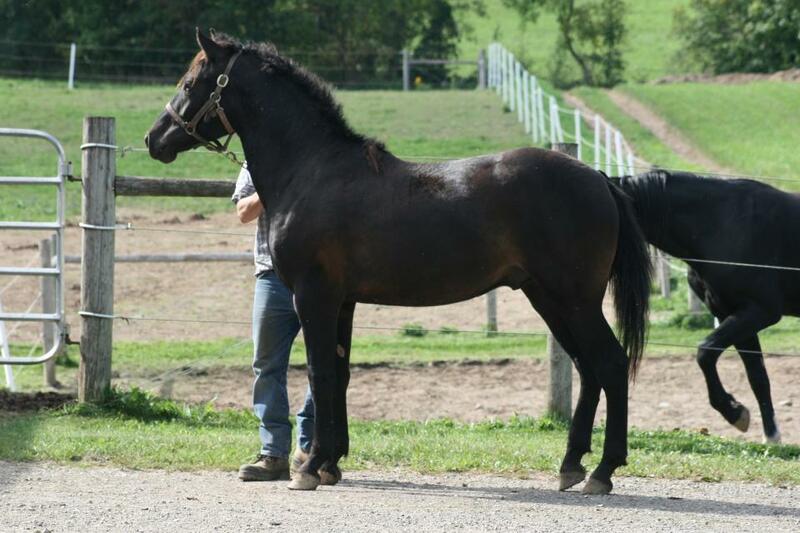 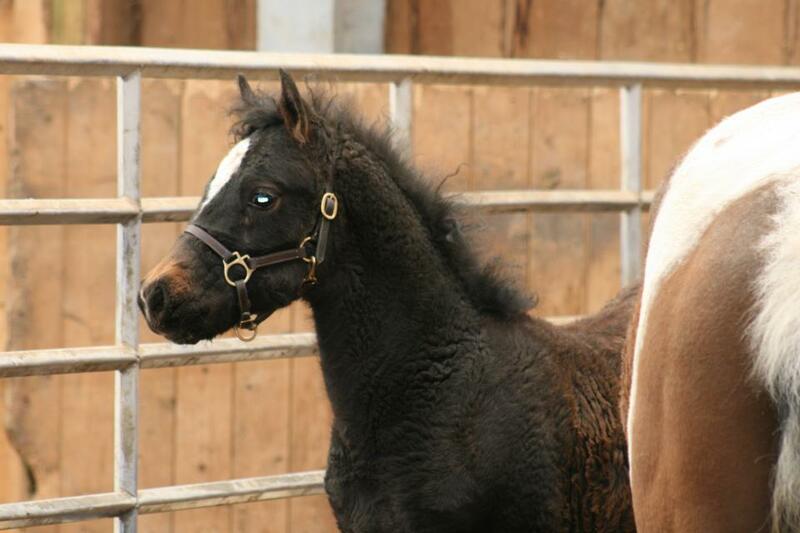 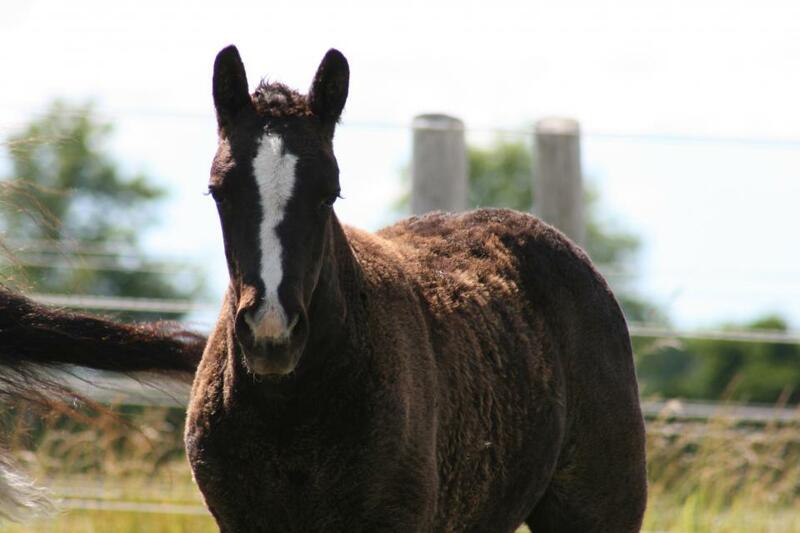 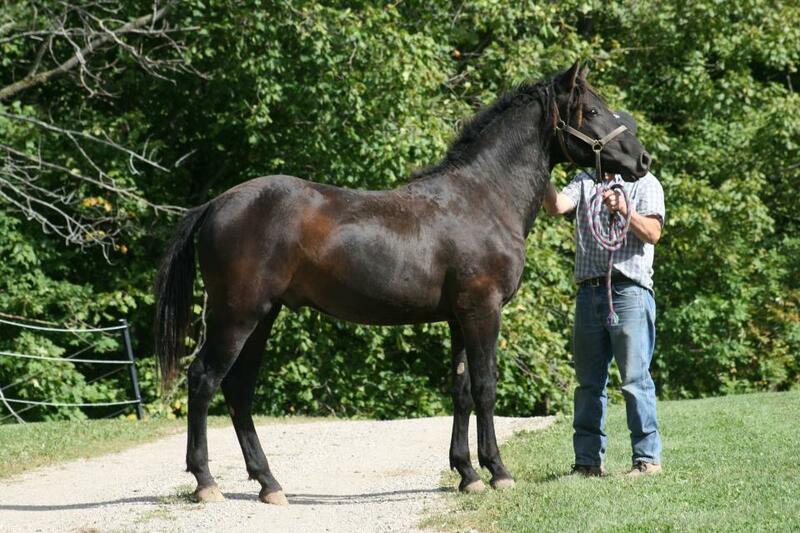 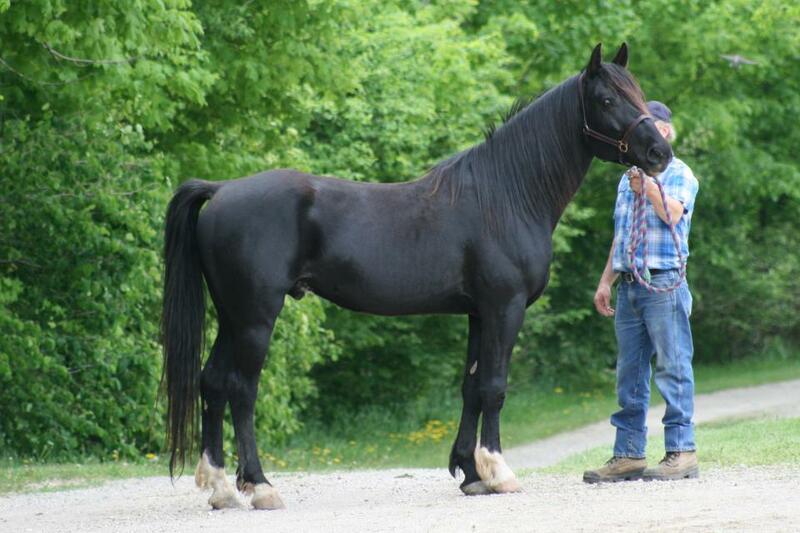 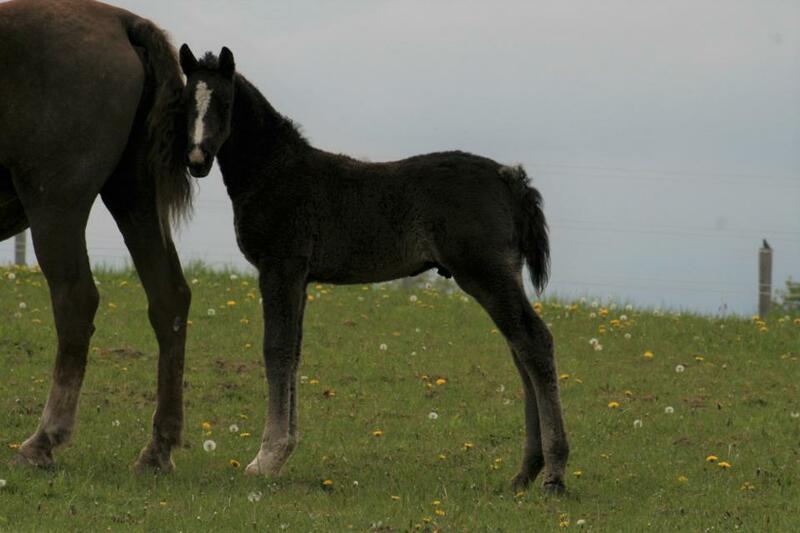 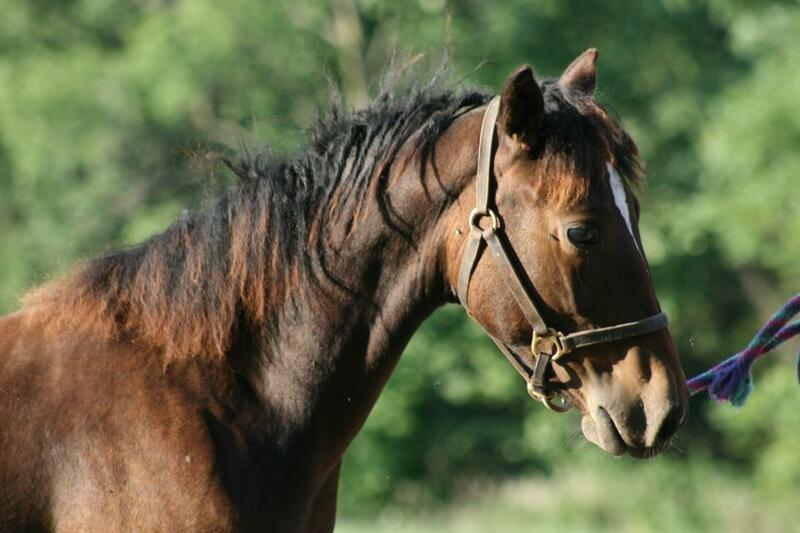 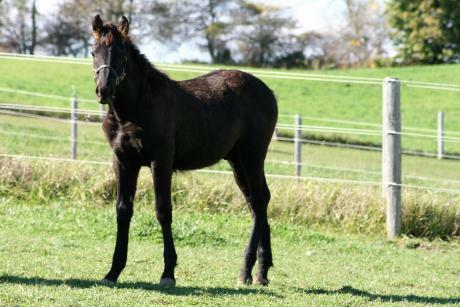 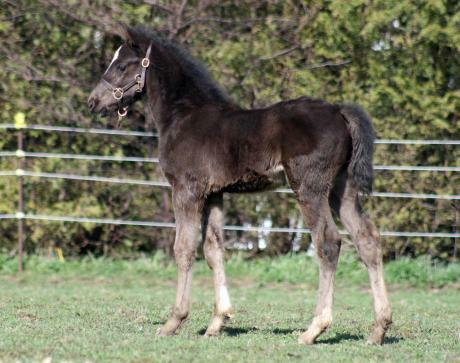 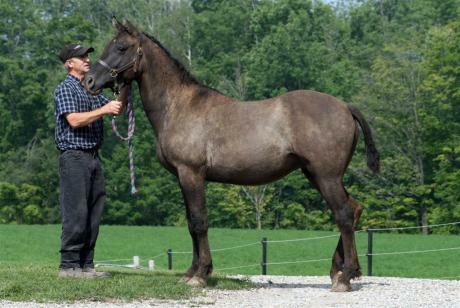 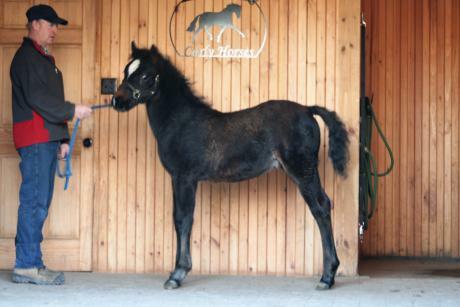 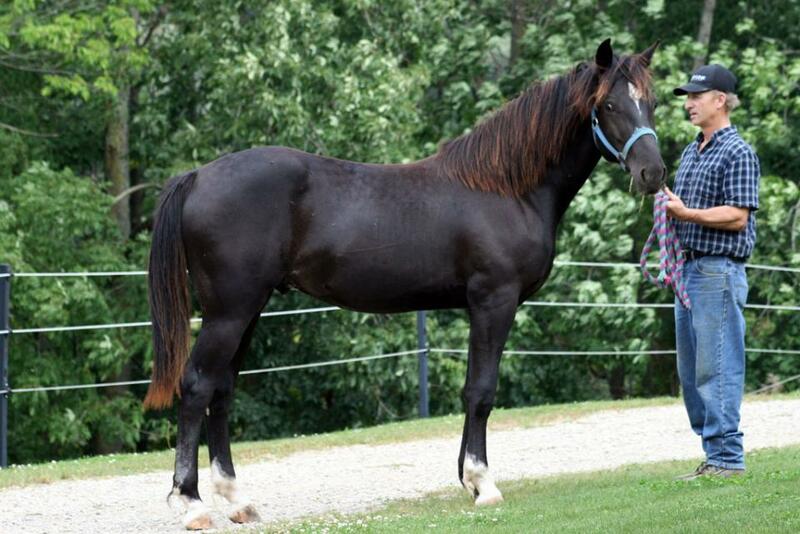 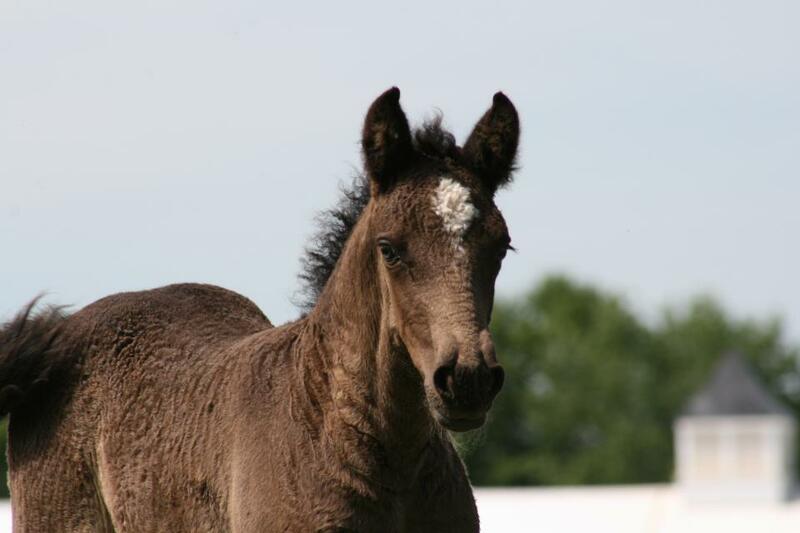 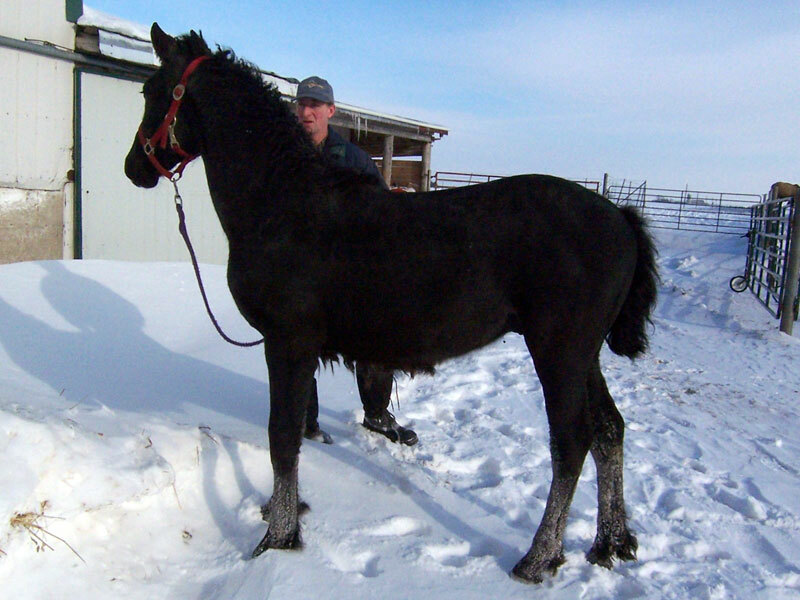 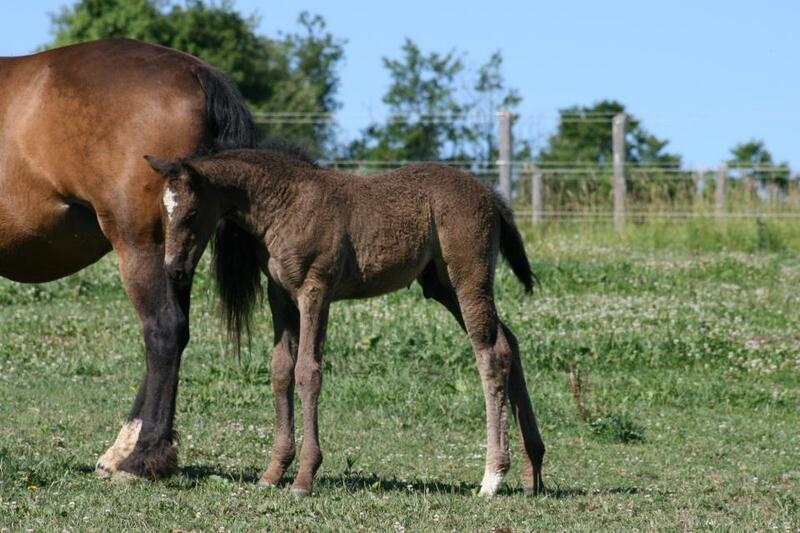 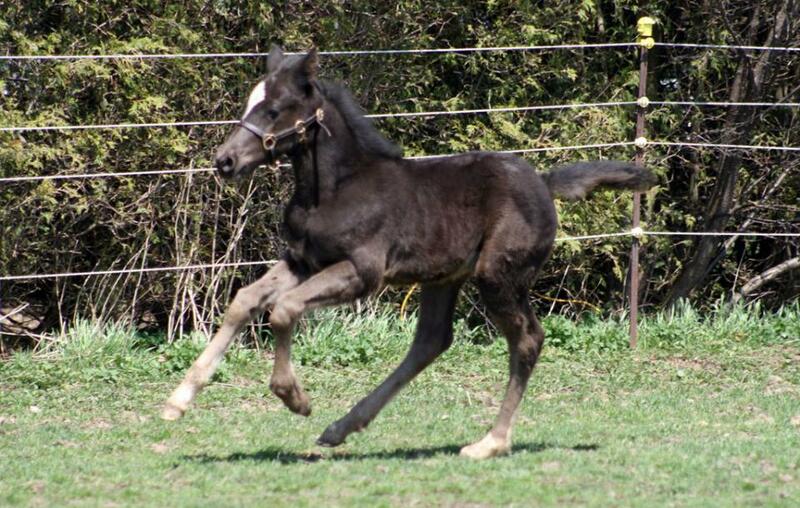 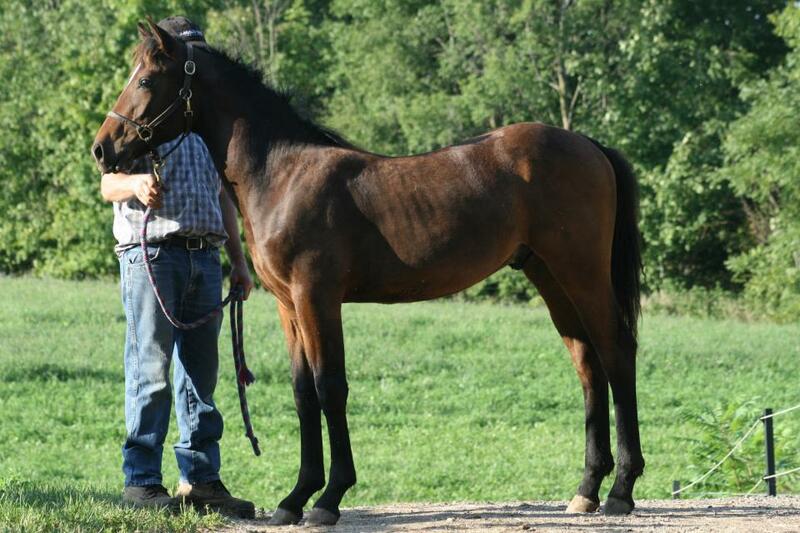 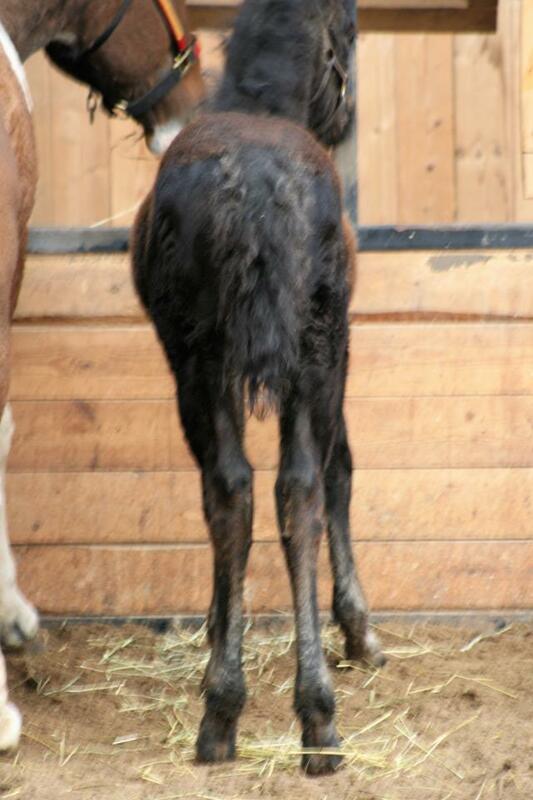 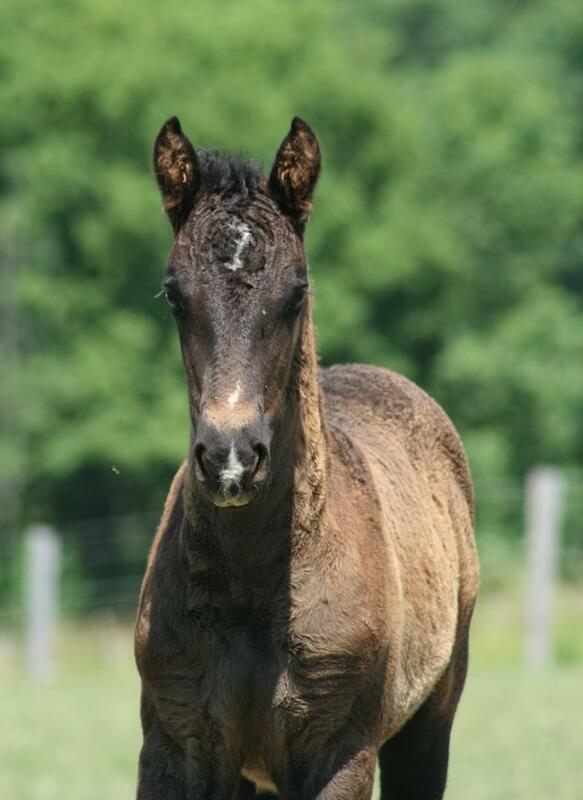 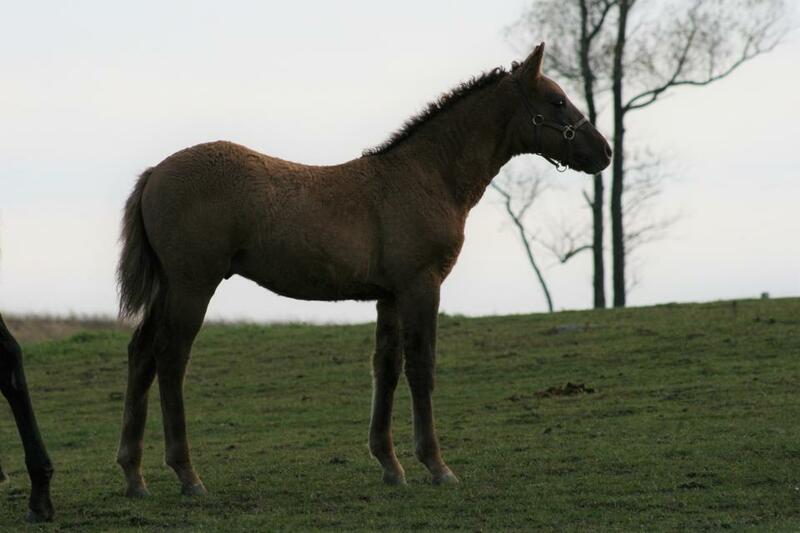 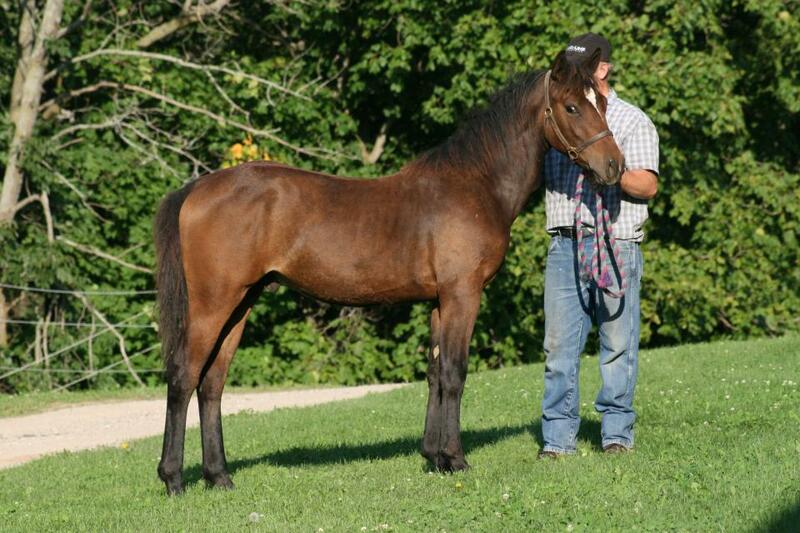 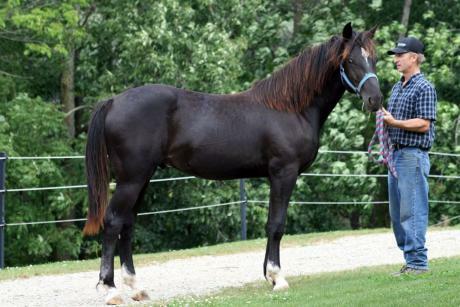 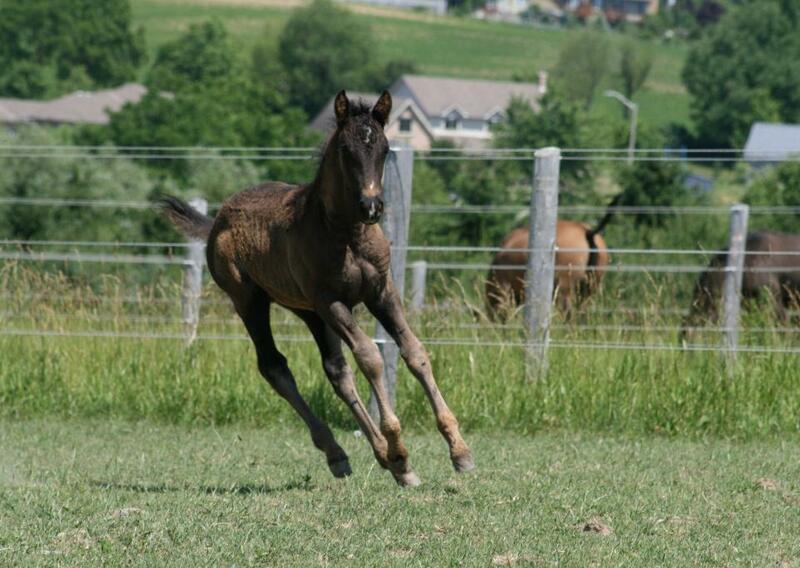 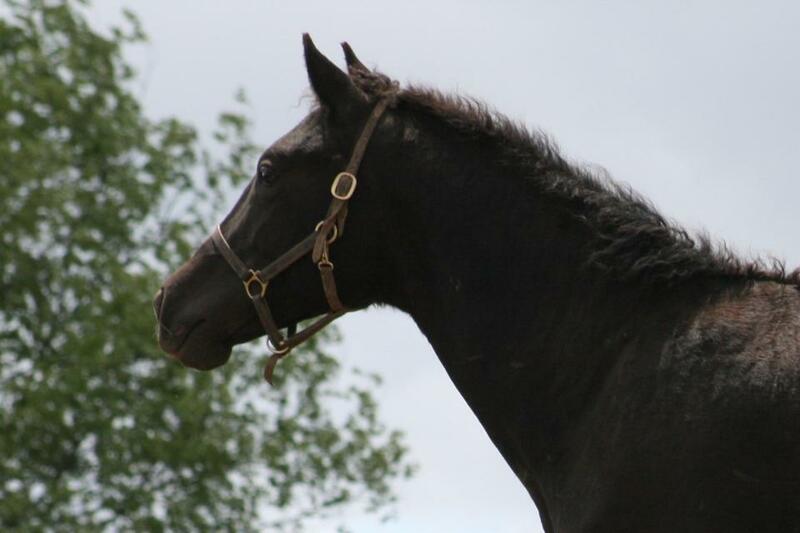 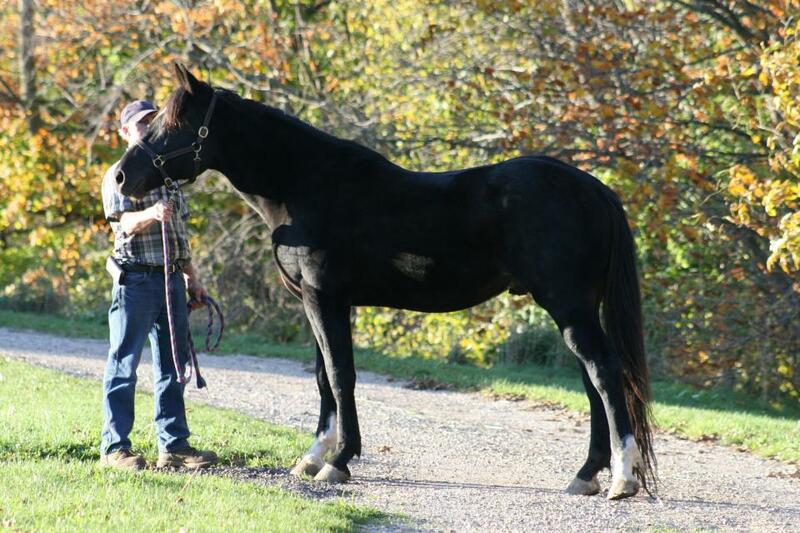 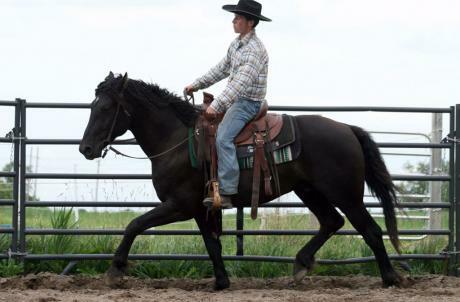 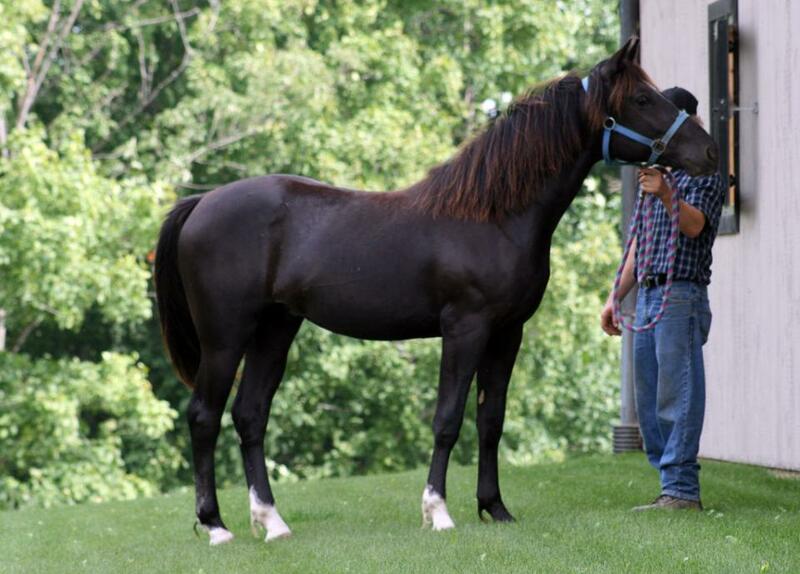 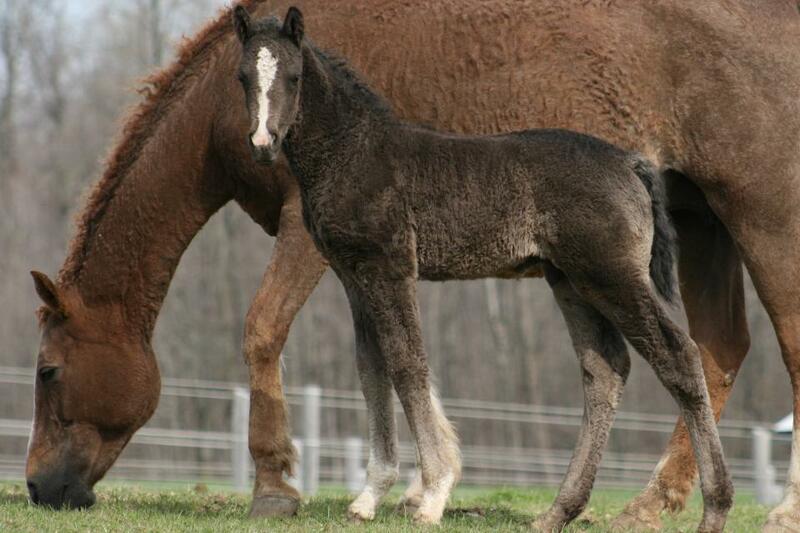 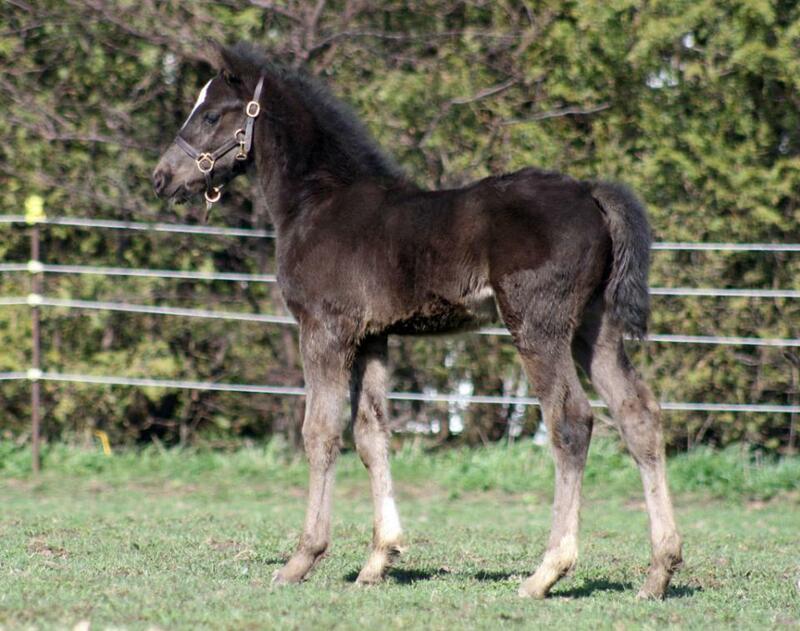 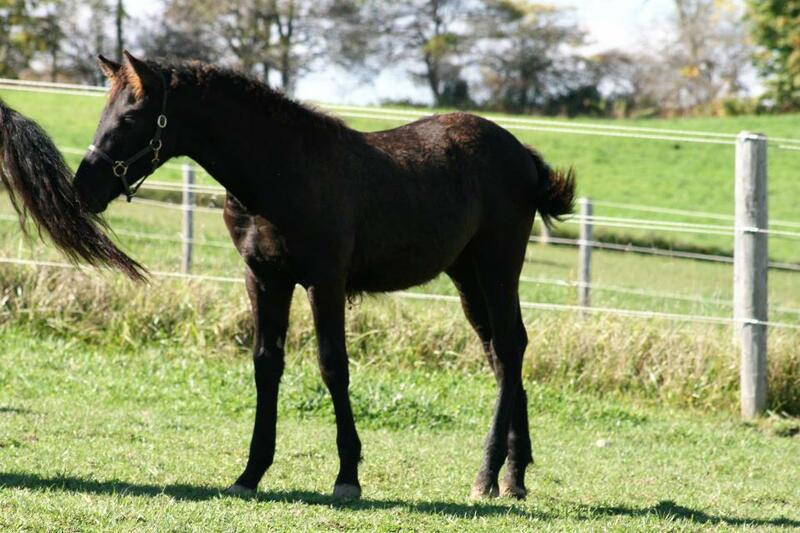 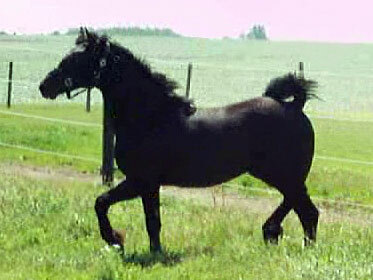 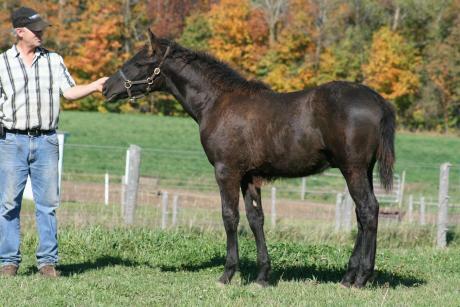 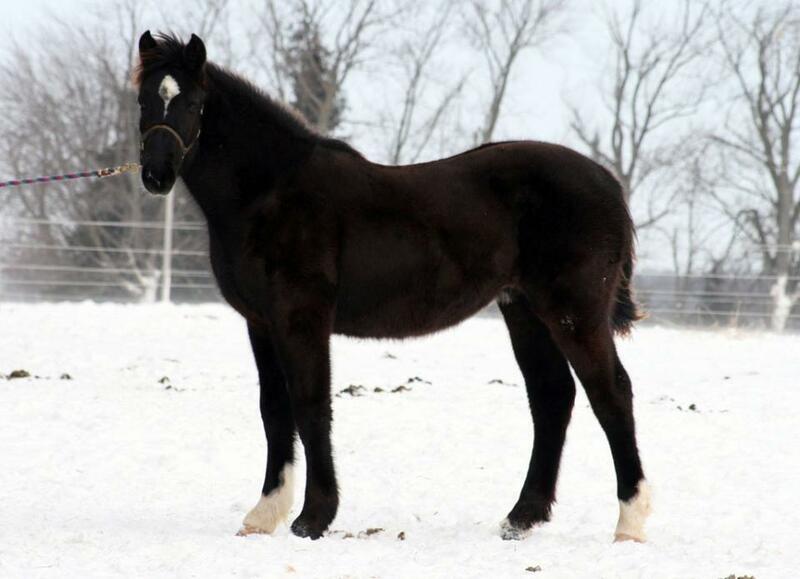 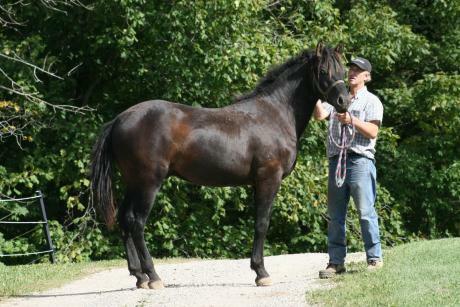 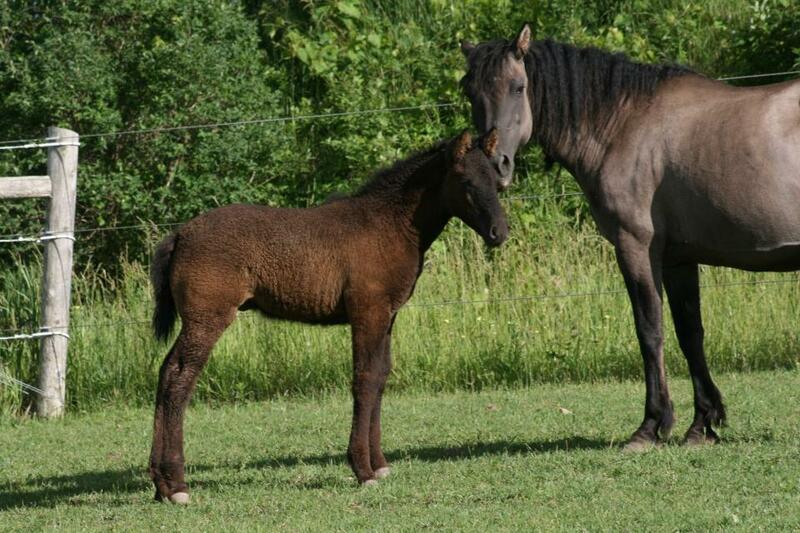 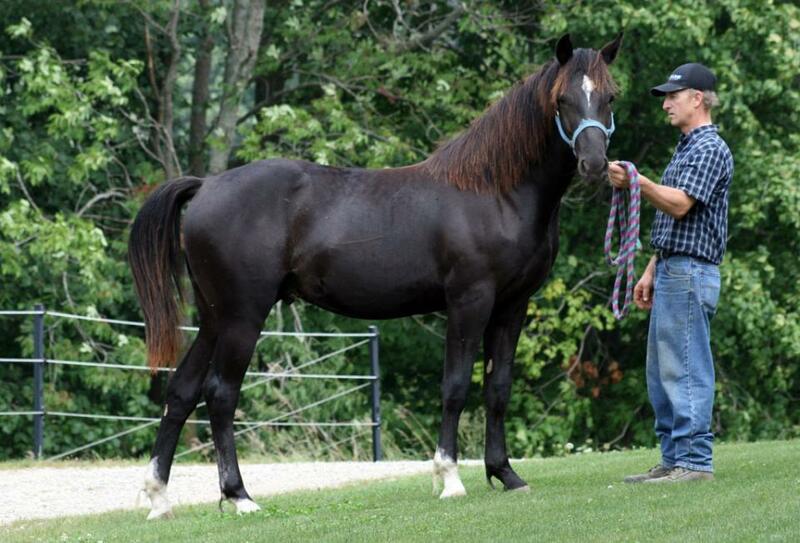 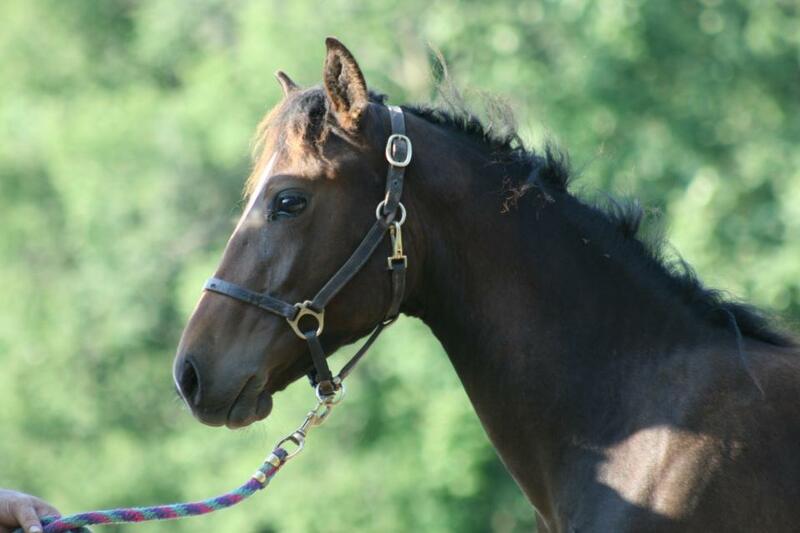 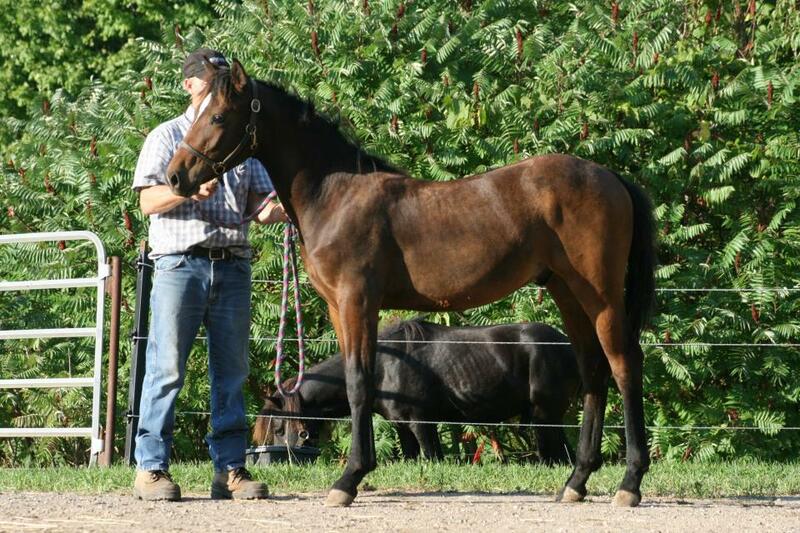 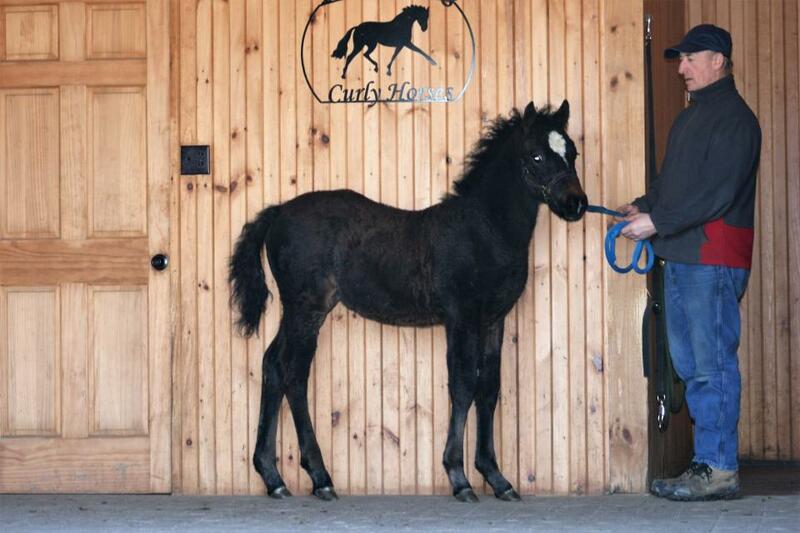 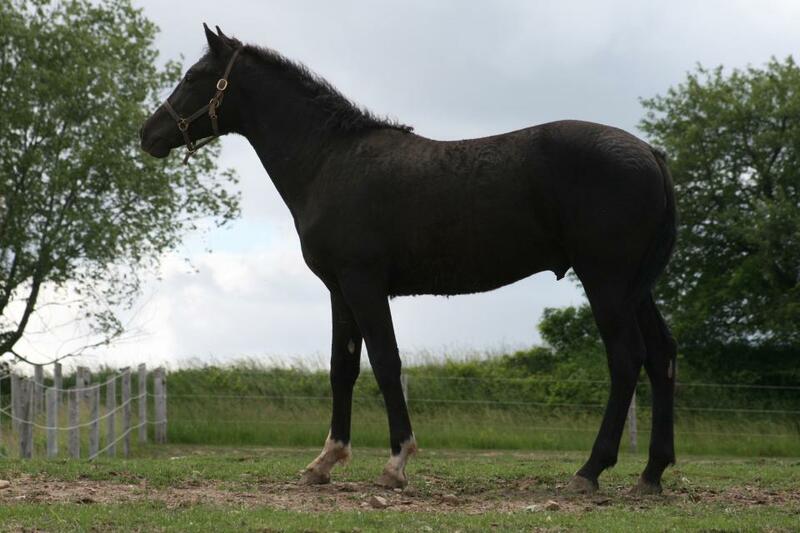 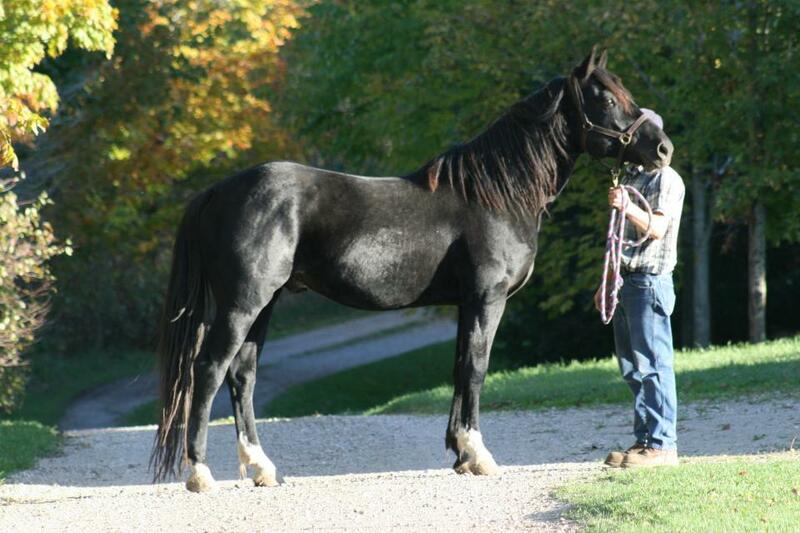 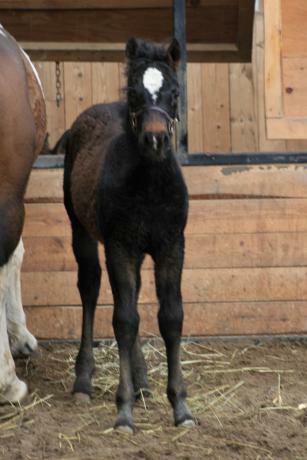 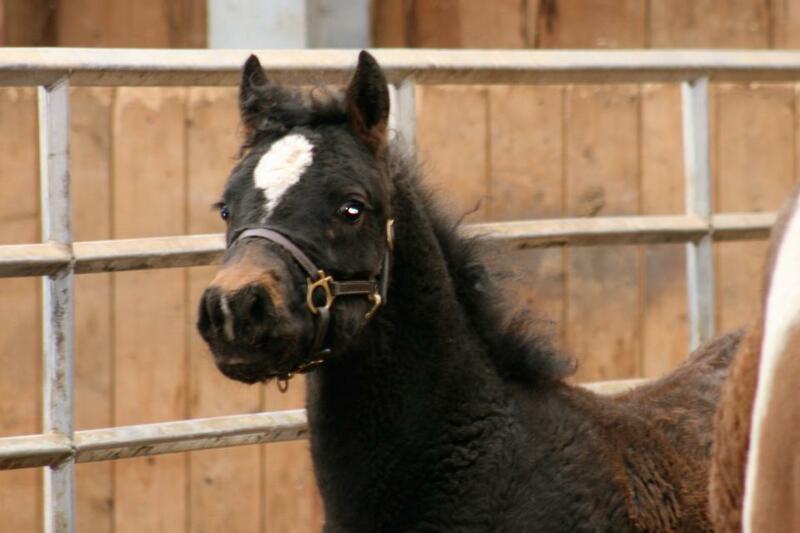 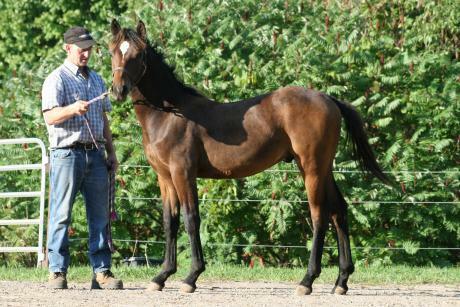 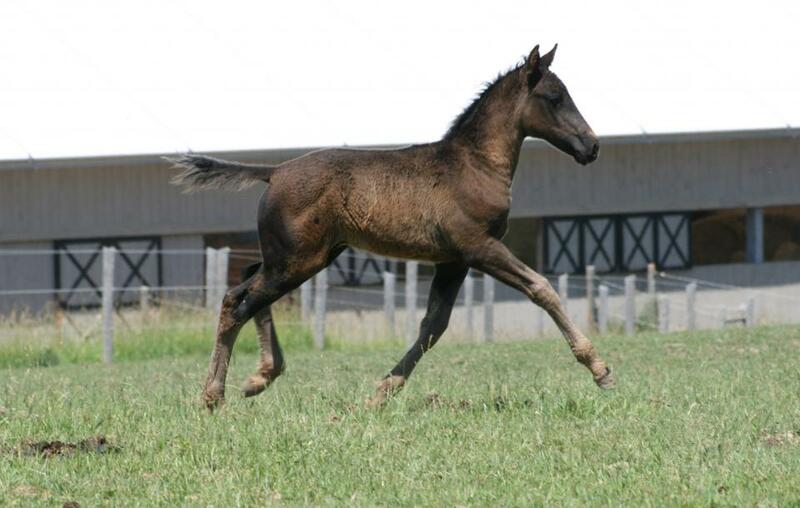 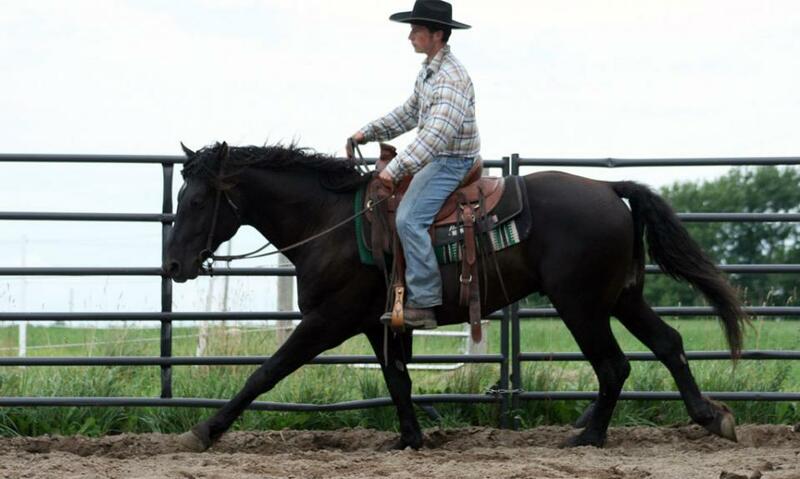 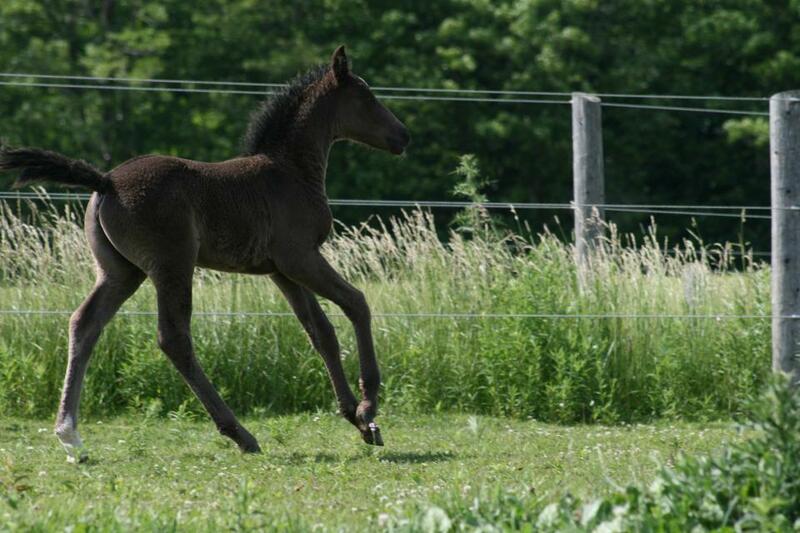 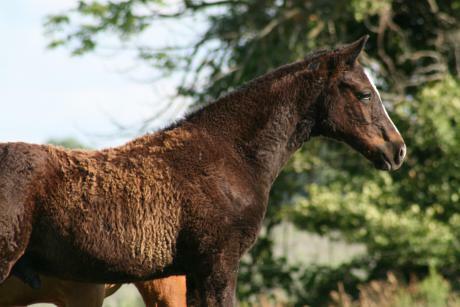 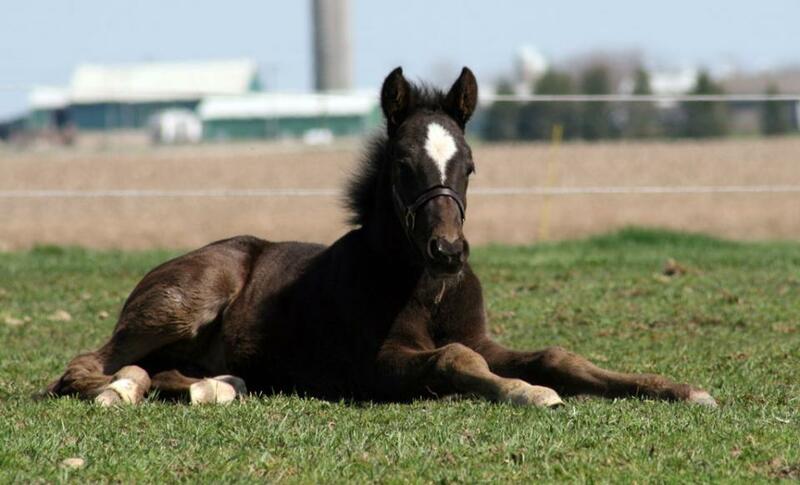 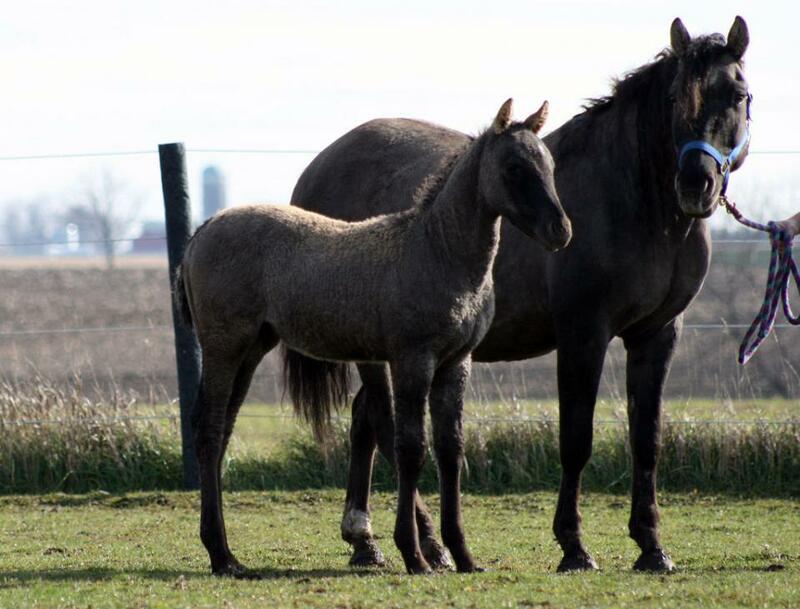 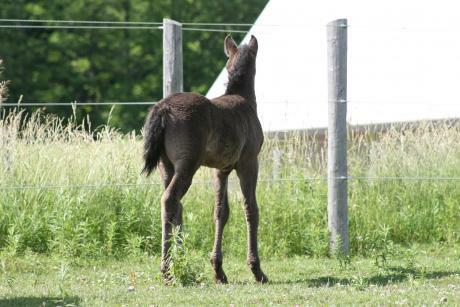 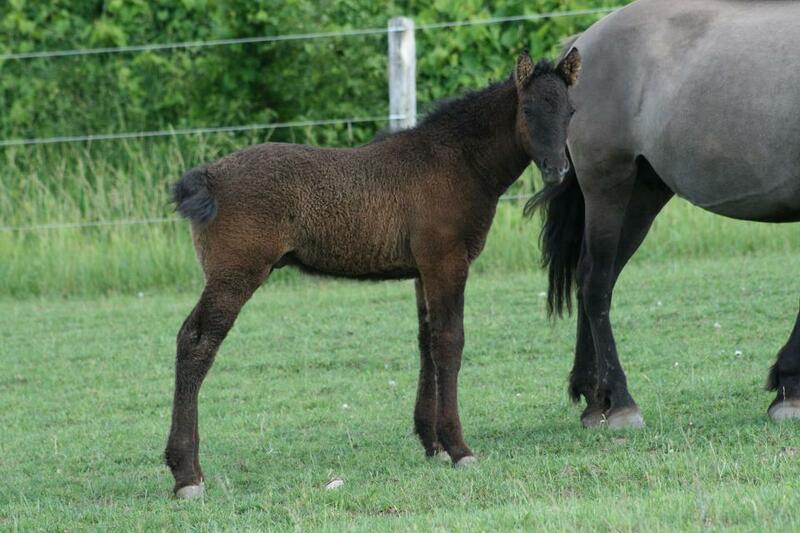 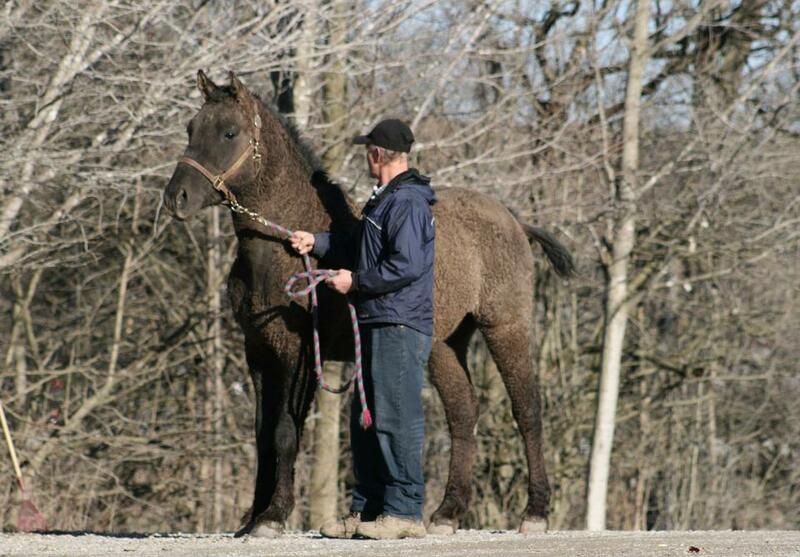 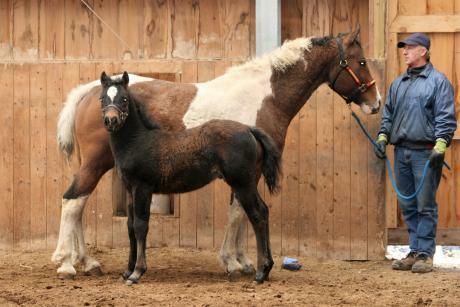 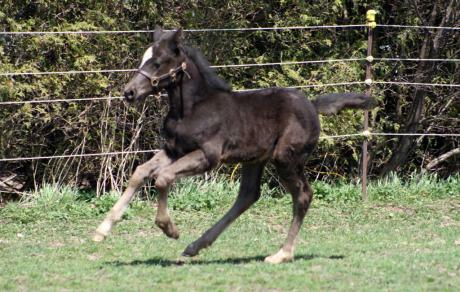 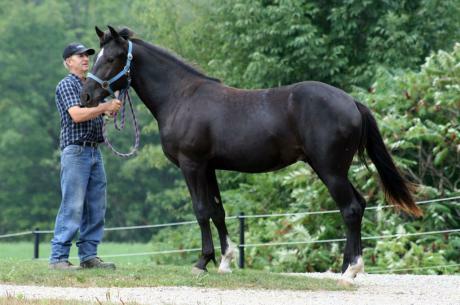 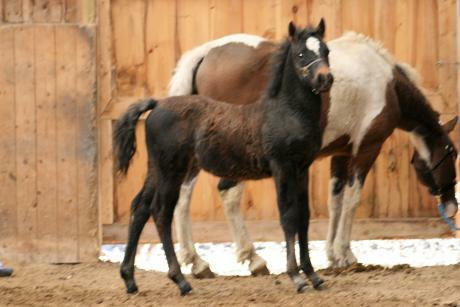 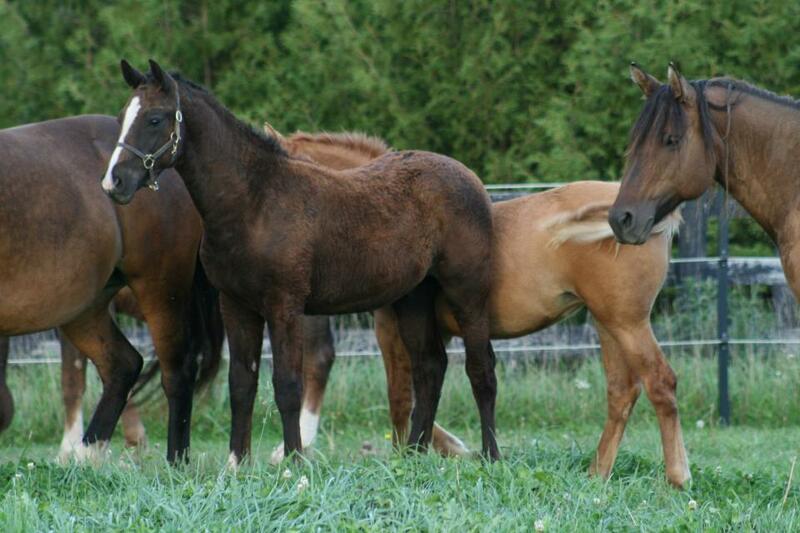 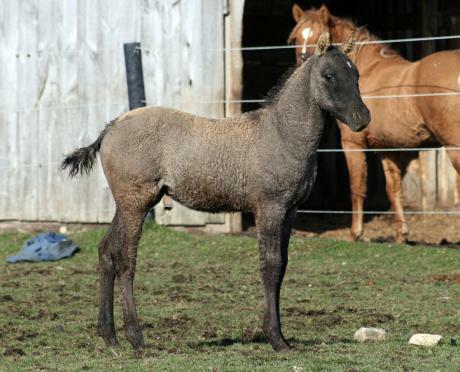 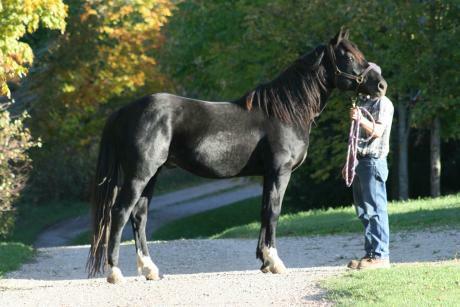 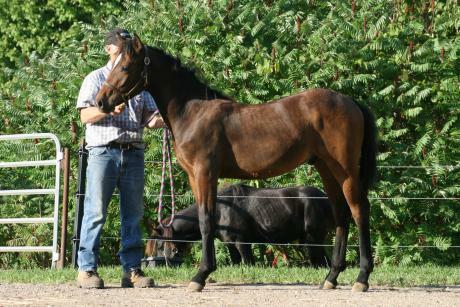 Cole is a tall, black, homozygous for curl colt. 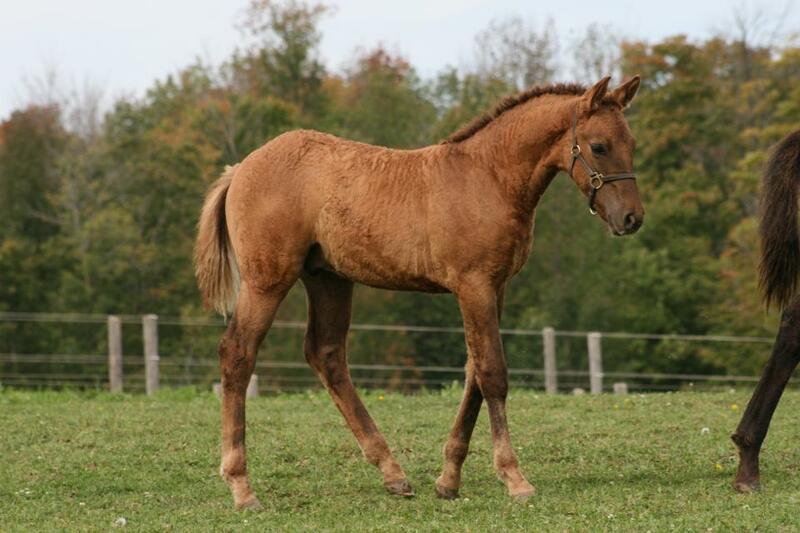 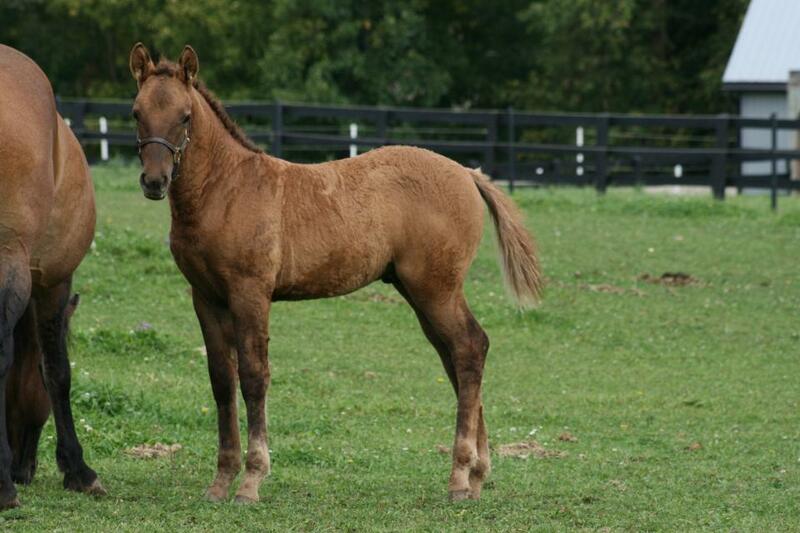 Will easily mature at 16 hands as he is over 15 hands as a yearling. 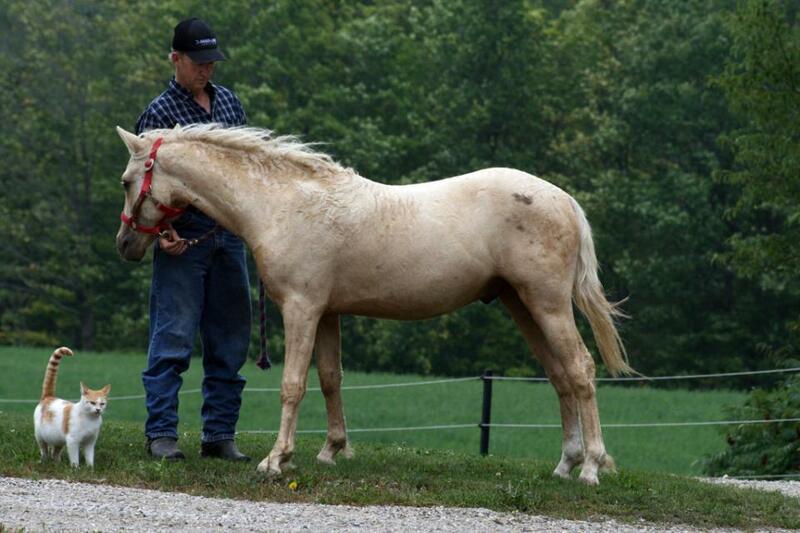 His dam is a 16 hand mare and passes this size unto her off-spring. 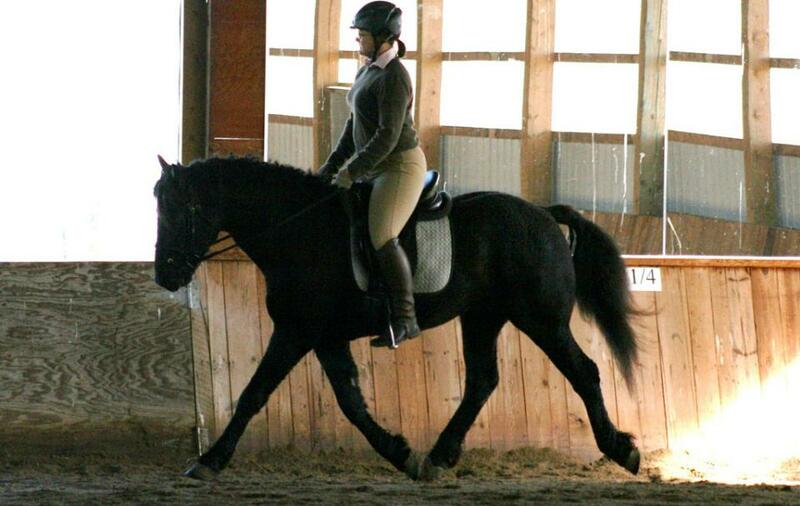 Cole is a fine stallion and dressage prospect. 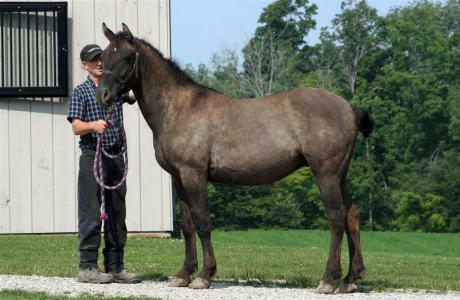 Very pretty head, lots of neck length, a nice topline, and correct legs. 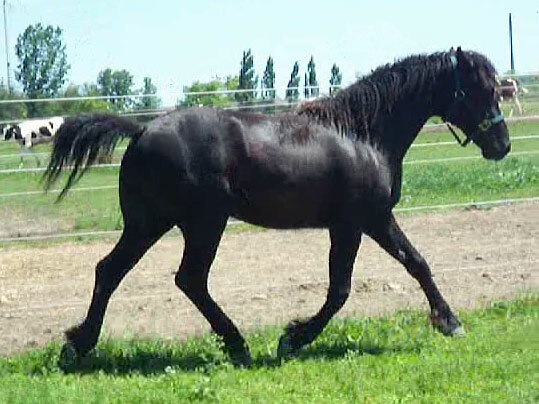 Big, floating movement and a kind temperament.